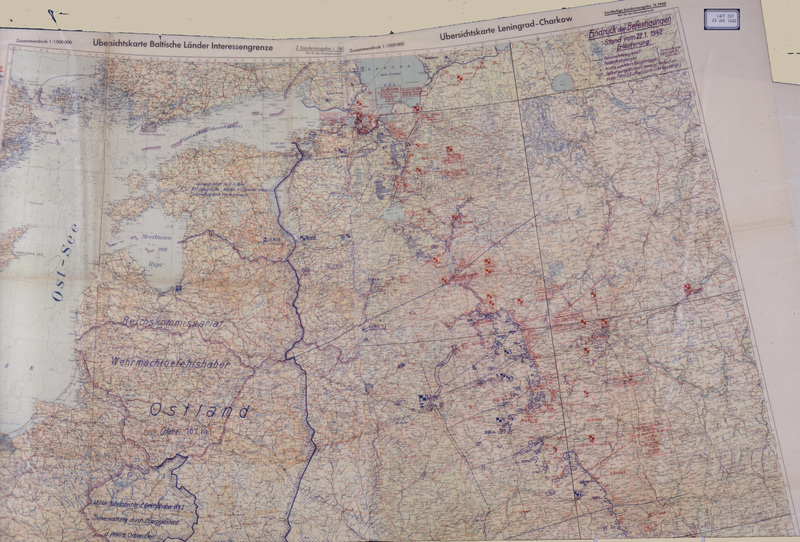 The German Eastern Front Situation Maps, 1941-45, formed part of the Captured German World War II Documents, brought back to the US by the US Army after 1946 and later accessed into NARA as Record Group 242. 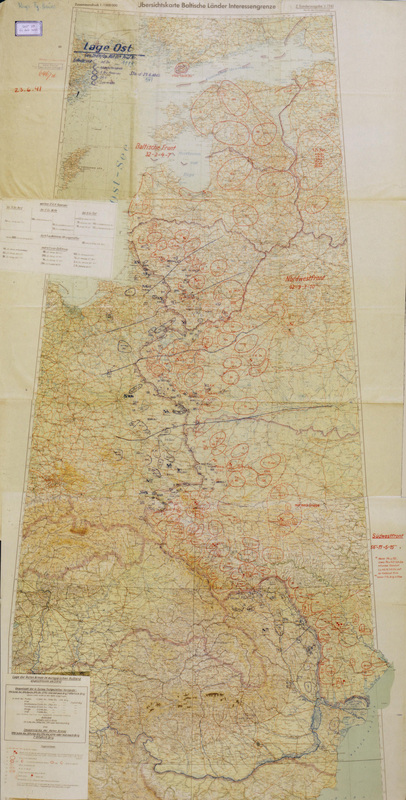 These consist of the daily maps, in 1-4 sections, depending on the extent of the fronts, produced by the Operations Branch of the German Army High Command (OKH), depicting the German-Axis and known/suspected Russian ground dispositions. 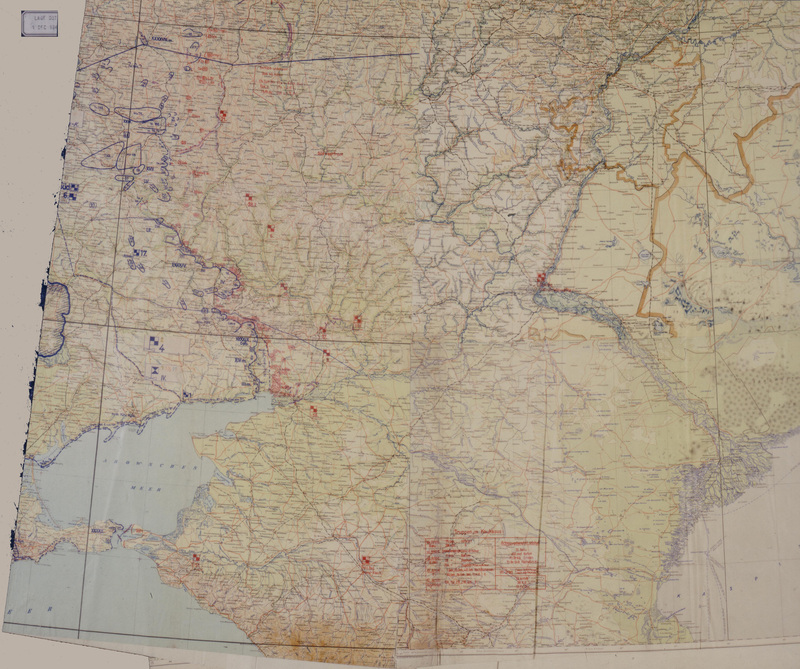 Frequently, two sets of maps would be produced covering a single day, one showing ordered movements and the other the final positions. 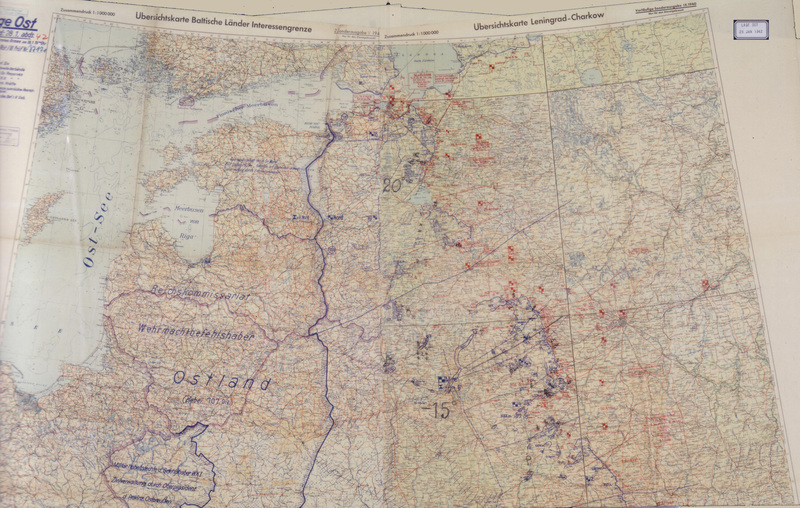 The original maps were finally returned to the Republic of Germany in the 1990s, after being reproduced on 8"x10" color transparencies (each section) for NARA holdings. 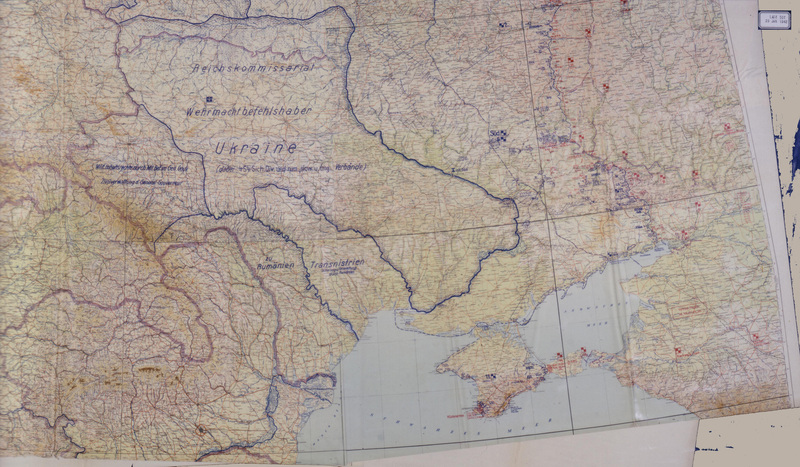 These can be considered as historically accurate for German and Axis dispositions and a reasonable track of Red Army activities as the German forces knew them. 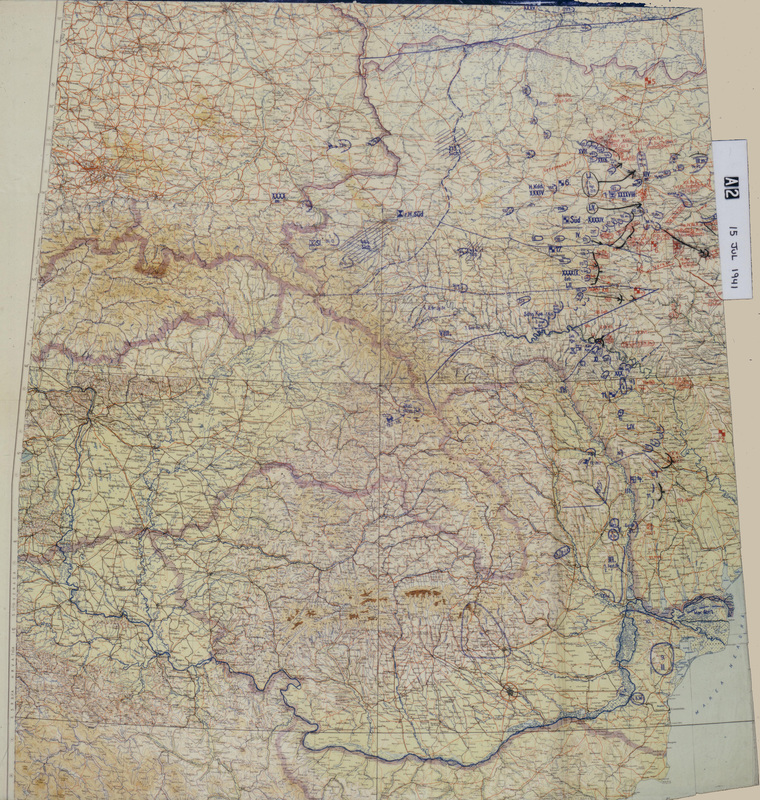 Located in the National Archives II, Cartographic and Architectural Branch: RG 242 Stack 331 Row 77 Compt 15-17 Boxes 1-48. These maps are multi-MB files. 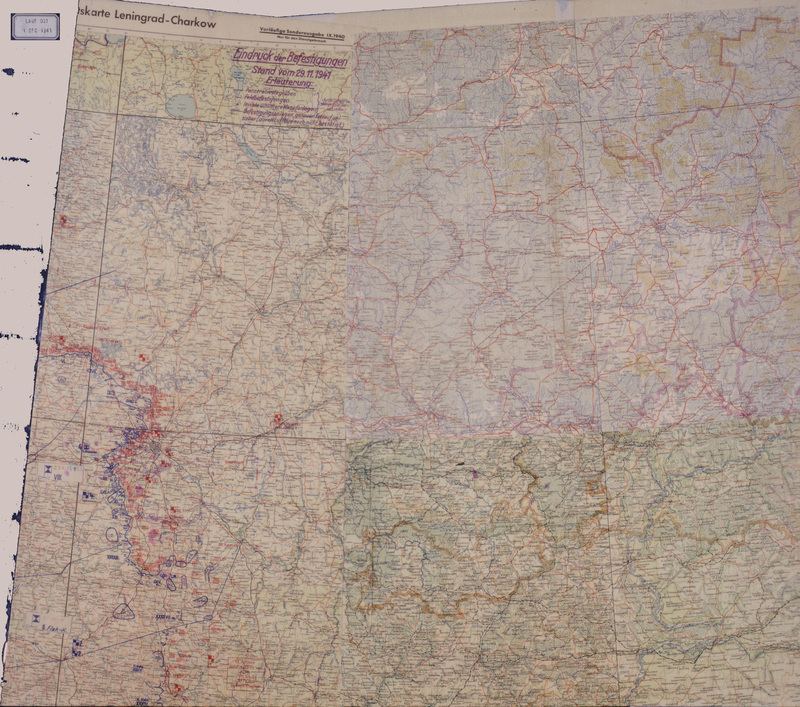 Smaller detail/inset images of each map are linked as available. June 16, 1941. Detail, German assembly for campaign. 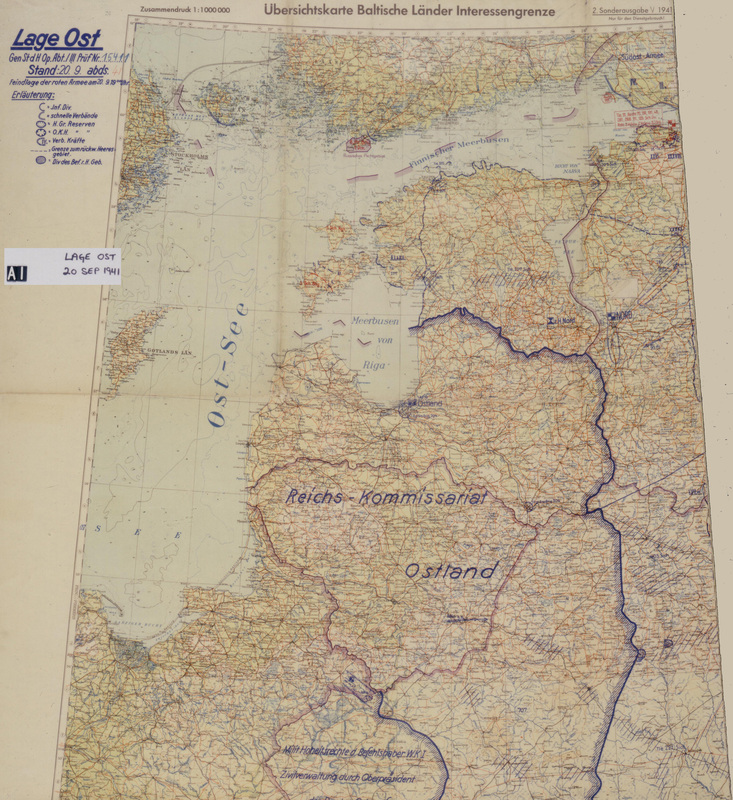 June 23, 1941 (view 1).Detail, German assembly for campaign. June 23, 1941 (view 2). July 15, 1941 (view 1). July 15, 1941 (view 2). 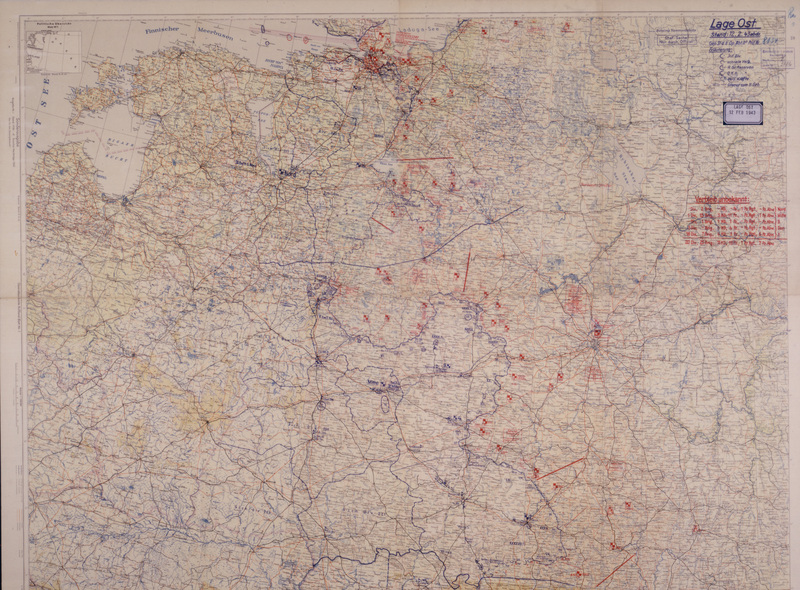 July 15, 1941 (view 3). July 15, 1941 (view 4). 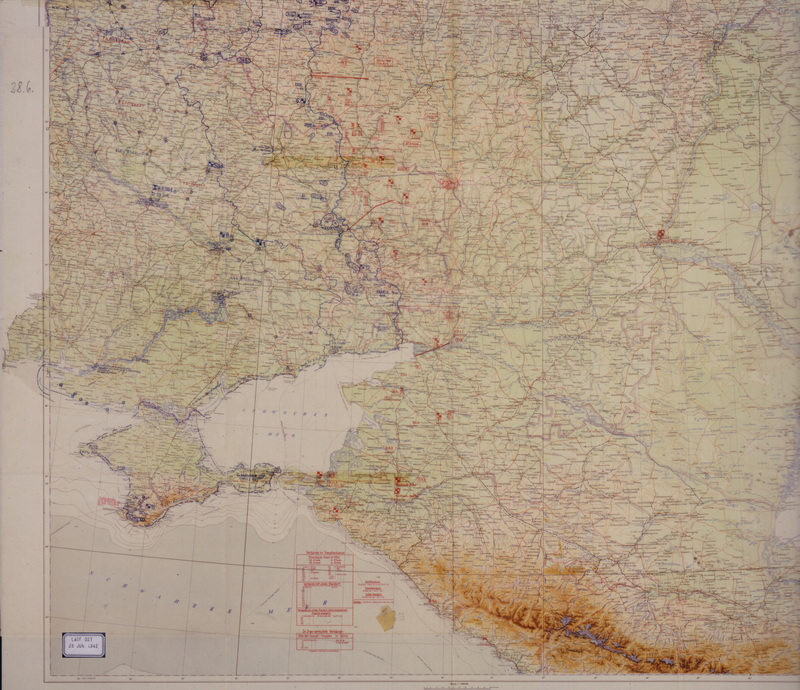 September 2, 1941 (view 1). 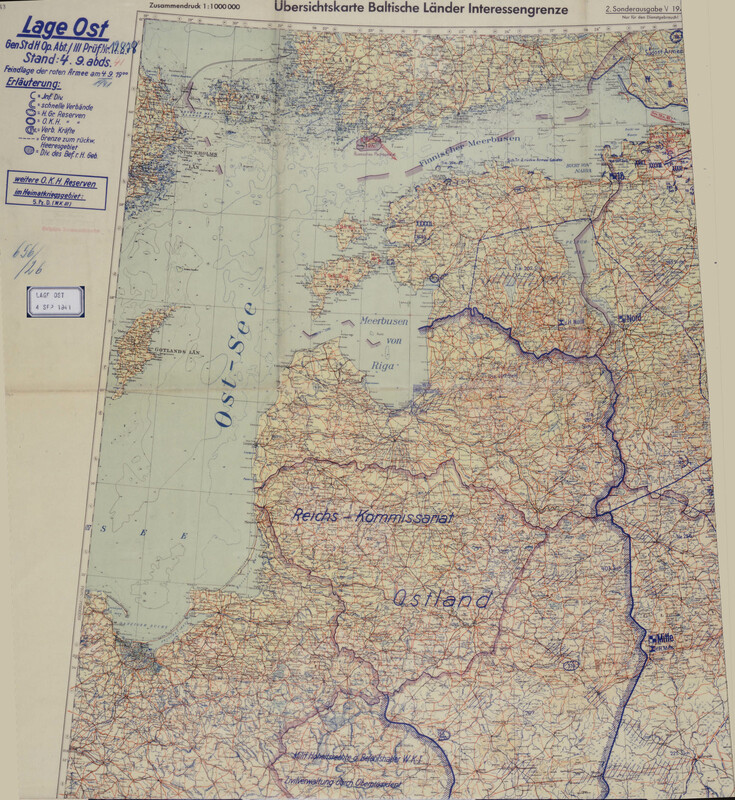 September 2, 1941 (view 2). 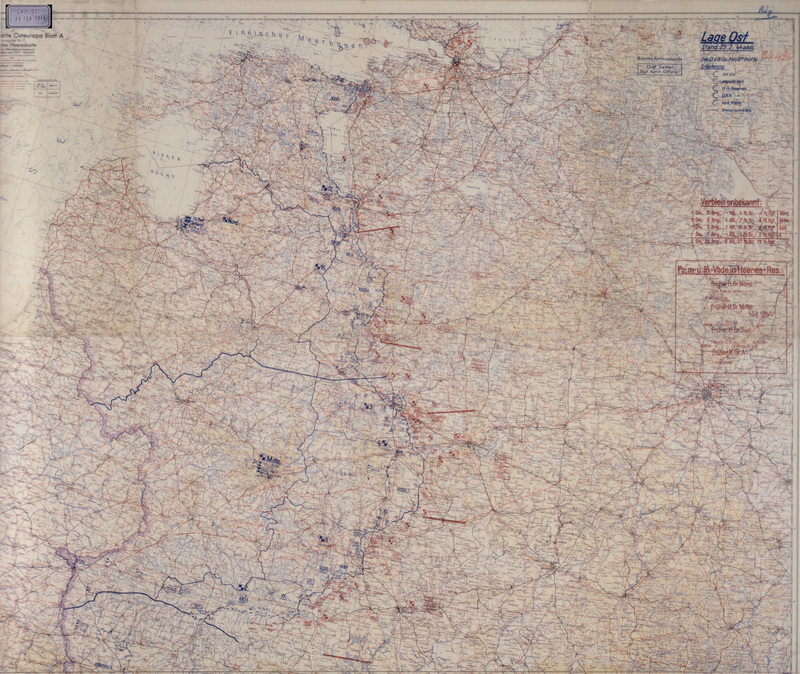 September 2, 1941 (view 3). 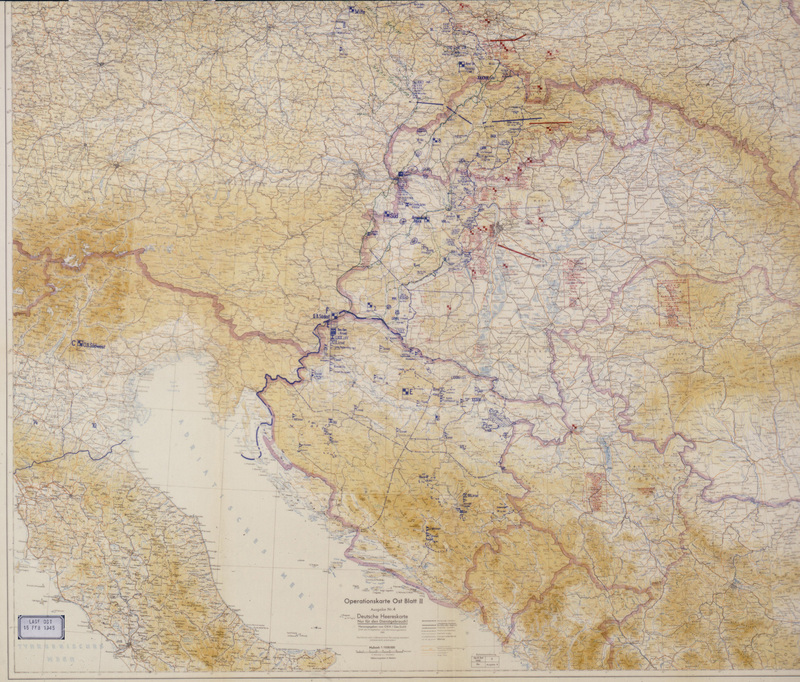 September 20, 1941 (view 1). 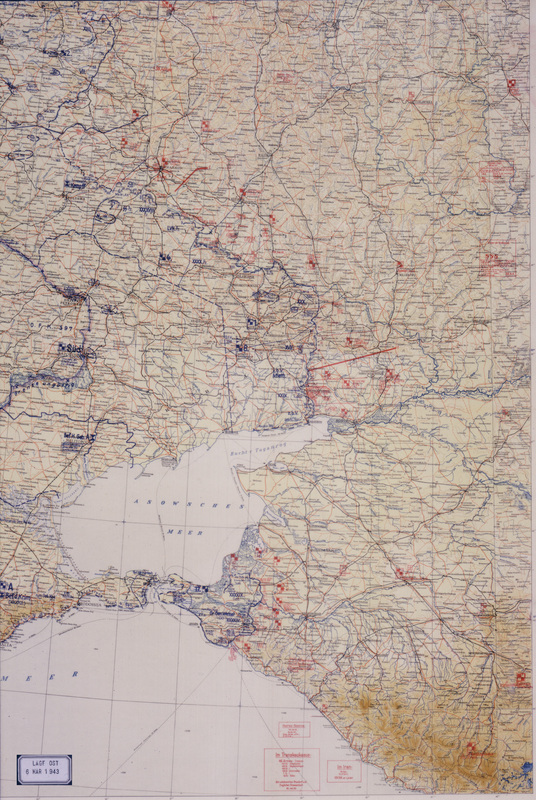 Detail, note lonely position of "250 span" Division Between Minsk and E. edge of map. 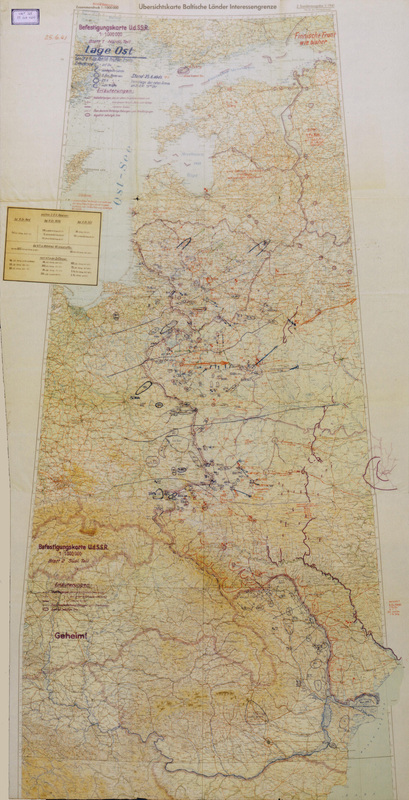 September 20, 1941 (view 2). 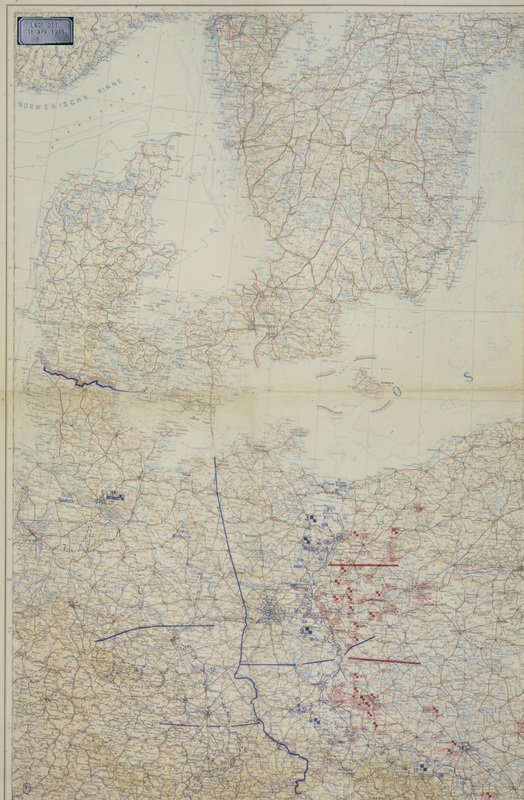 Detail, note general situation, especially the German weakness between northern and center army groups. 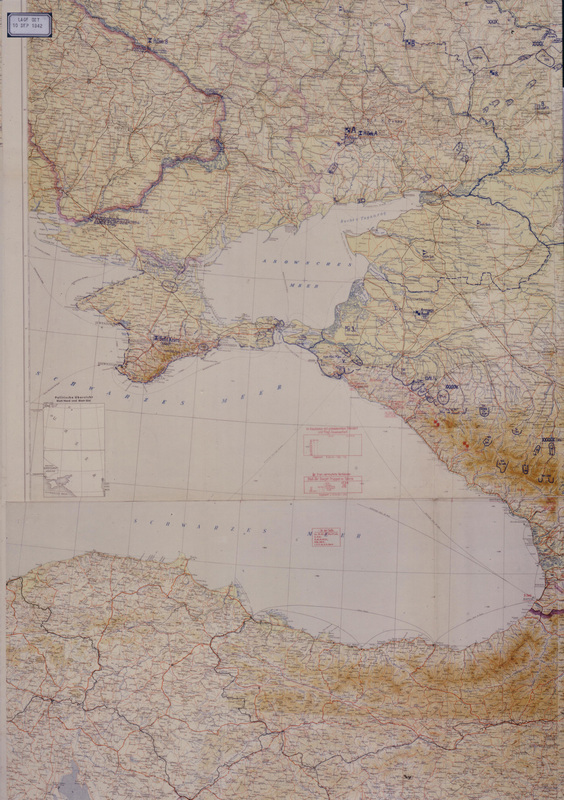 September 20, 1941 (view 3). October 3, 1941. Detail, note "250 span" at Vitebsk with train symbol, en route north; another part of "250 span" farther north in zone of 281st Security Division, approaching Lake Ilmen region. 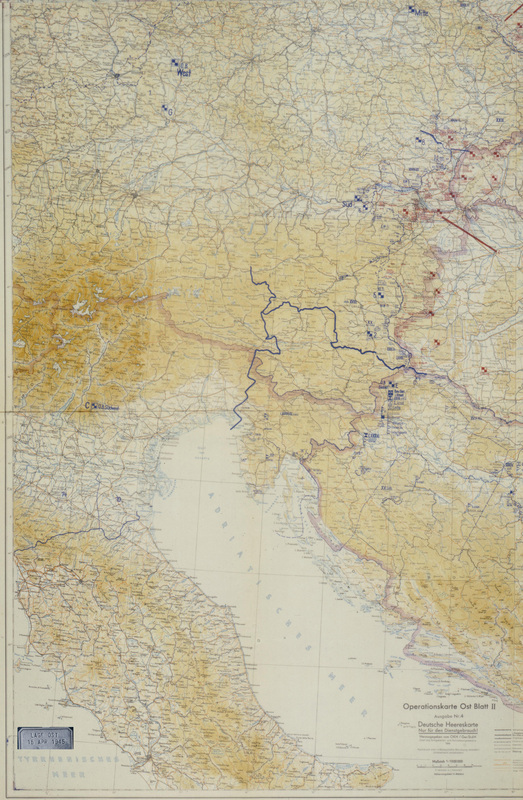 November 15, 1941 (view 1). 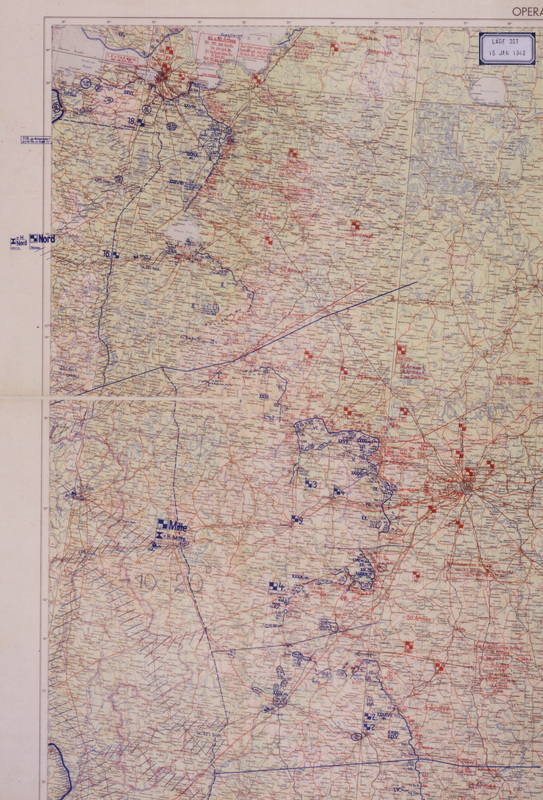 Detail, shows 7th division in lines of VII Corps, WSW of Moscow; LVF is located 60Km east of Army Group Center "Mitte" headquarters, labeled as "Franz. Rgt?" 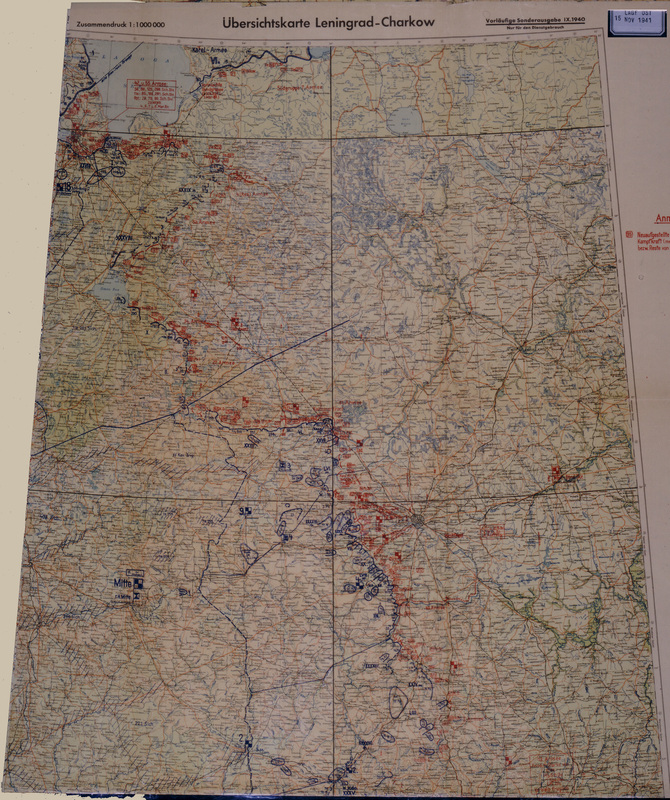 Detail, note how thinly stretched German offensive was, lines of Spanish Division bending across Volkhov River to Possad. November 15, 1941 (view 2). December 1, 1941 (view 1). Detail, note "Leg. 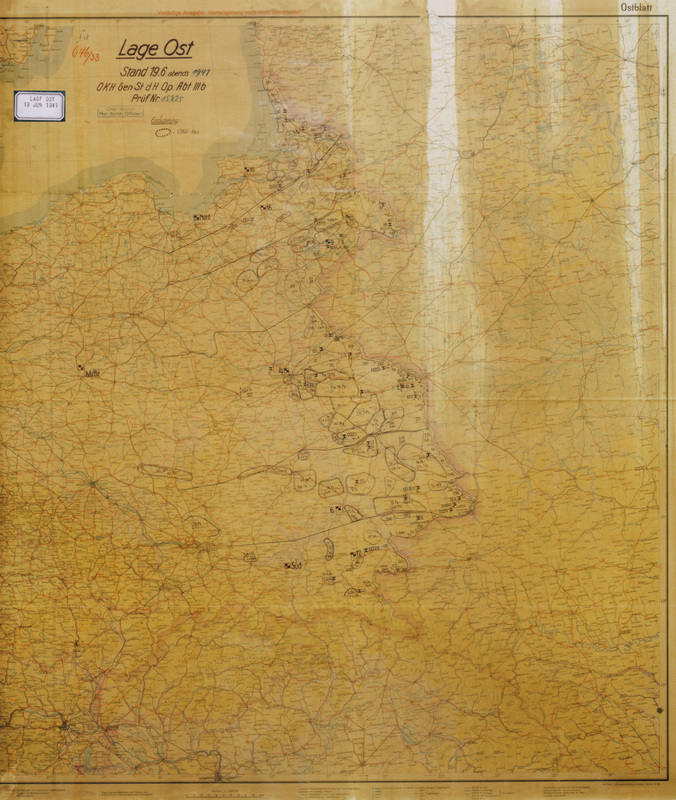 Flandern" east of "18" Army headquarters. December 1, 1941 (view 2). 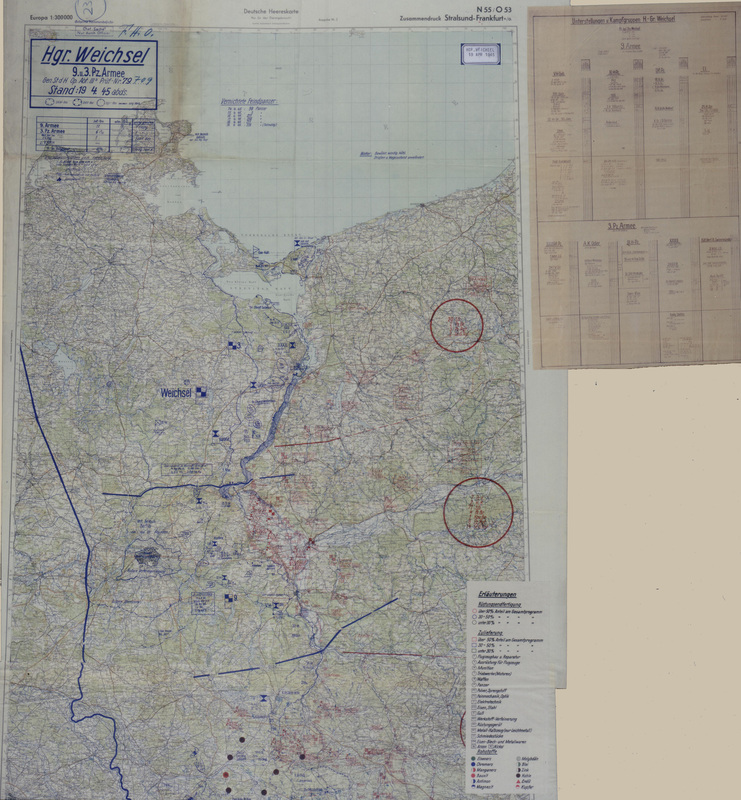 December 1, 1941 (view 3). 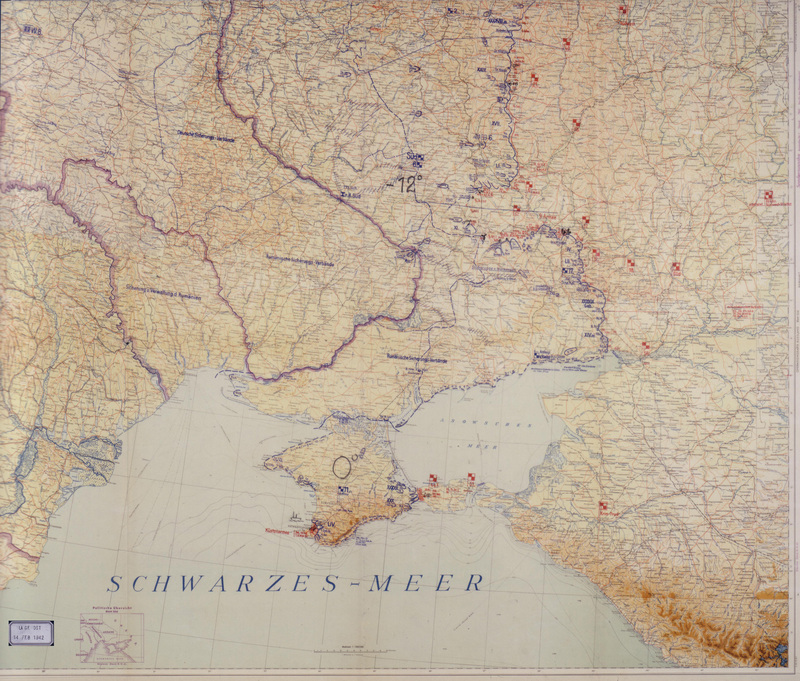 Detail, maximum German progress in Volkhov-Tikhvin offensive. 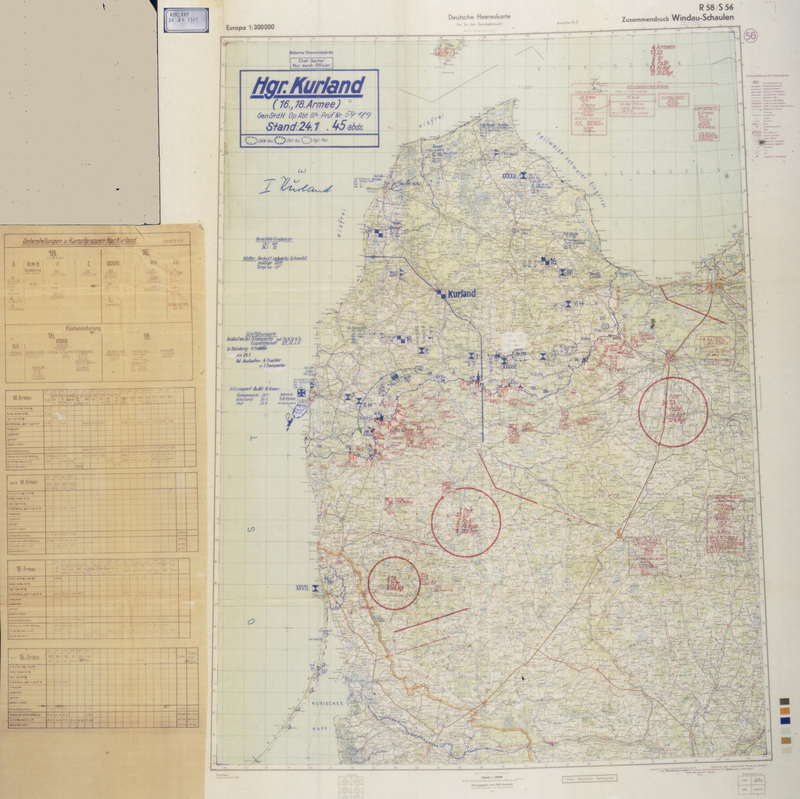 December 1, 1941 (view 4). 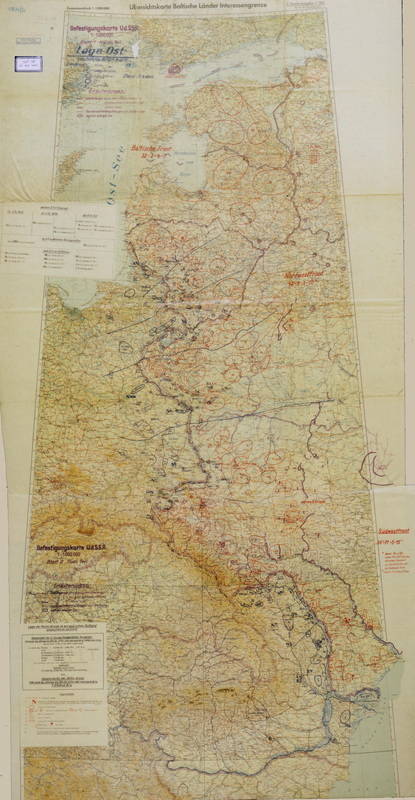 Detail, note "4" Army, northeast to "VII" Corps, southeast to "7. + Franz. Rgt". 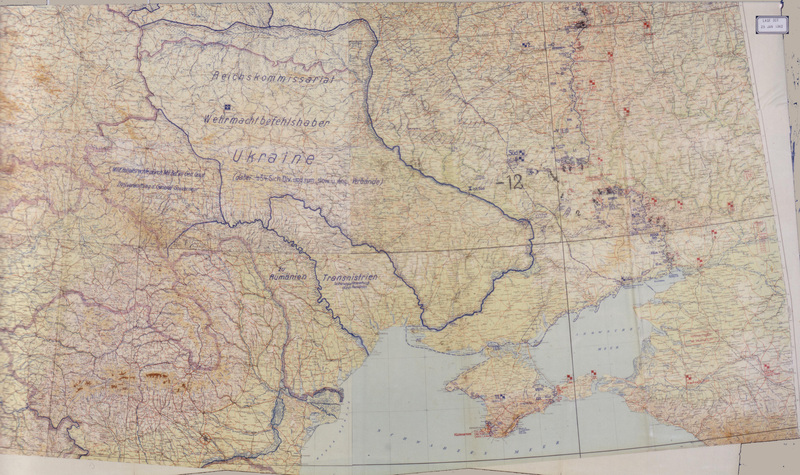 January 28, 1942 (view 1). January 28, 1942 (view 2). 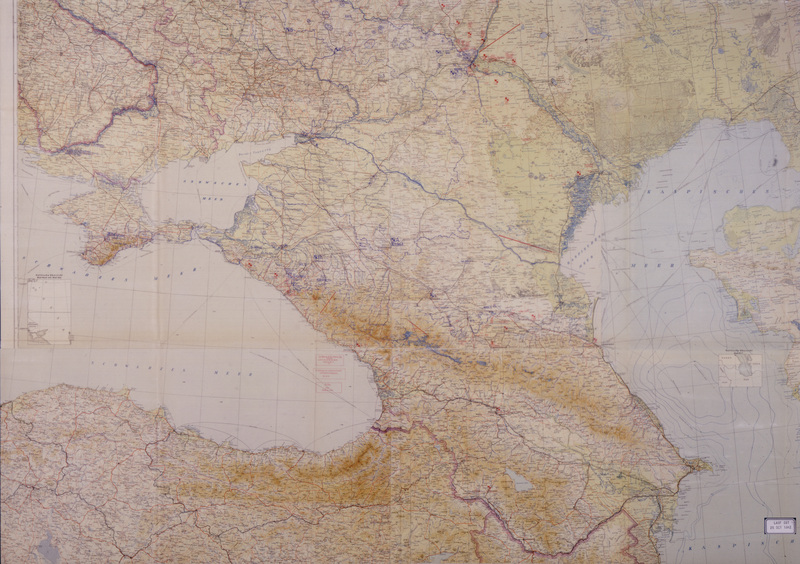 January 29, 1942 (view 1). January 29, 1942 (view 2). February 14, 1942 (view 1). Detail, note Gr "Jaschke" north of "XXXVIII". February 14, 1942 (view 2). Detail, "Gr. Sanne" is 100th Light Div. February 29, 1942 (view 1). February 29, 1942 (view 2). March 4, 1942. Detail, Volkhov Pocket. Detail, Group Jaschke and 250th Division in XXXVIII Corps. May 22, 1942 (view 1). Detail, note "Gr. Eicke" (Group Eicke, the bulk of the division and attachments) "Tle SS "T" (Element SS Tötenkopf)". Detail, Volkhov Pocket. Detail, note "SS Br 2" in XXXVIII Corps. May 22, 1942 (view 2). Detail, note "Gr. Eicke" (Group Eicke, the bulk of the division and attachments) "Tle SS "T" (Element SS Tötenkopf)". June 28, 1942 (view 1). June 28, 1942 (view 2). 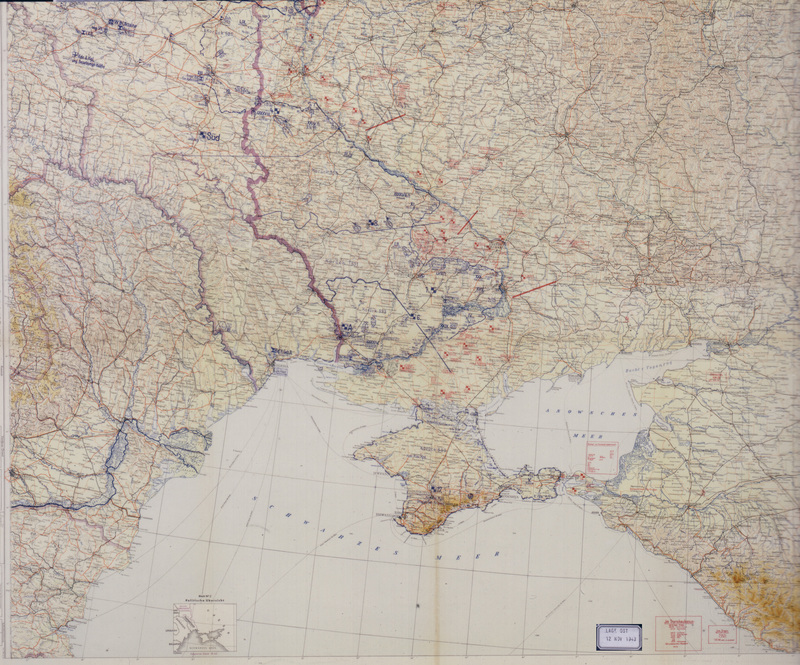 September 9, 1942 (view 1). Detail, note XXXXIV Corps, then 97 (97. 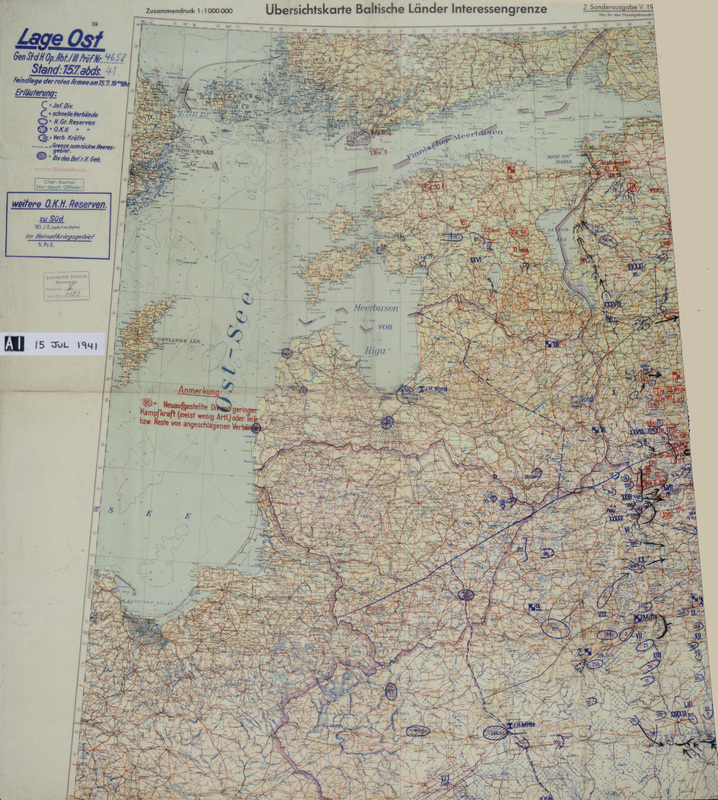 Jg) and SS Wiking (Ma SS "W")Divisions. September 9, 1942 (view 2). 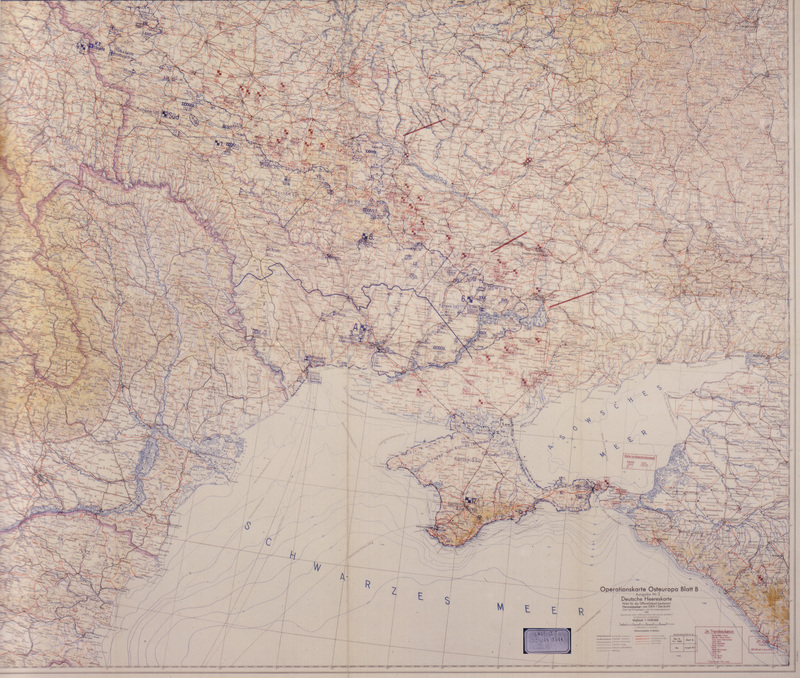 September 10, 1942 (view 1). 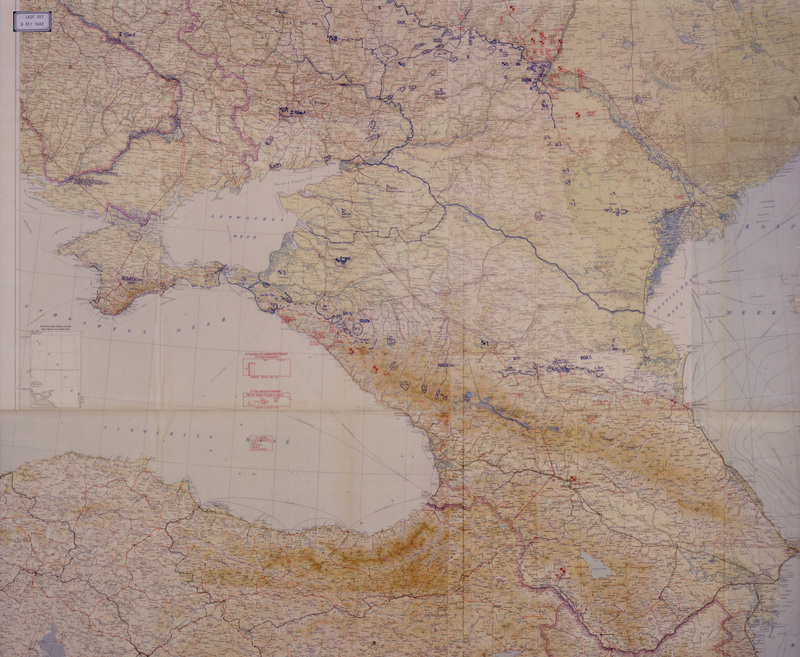 September 10, 1942 (view 2). 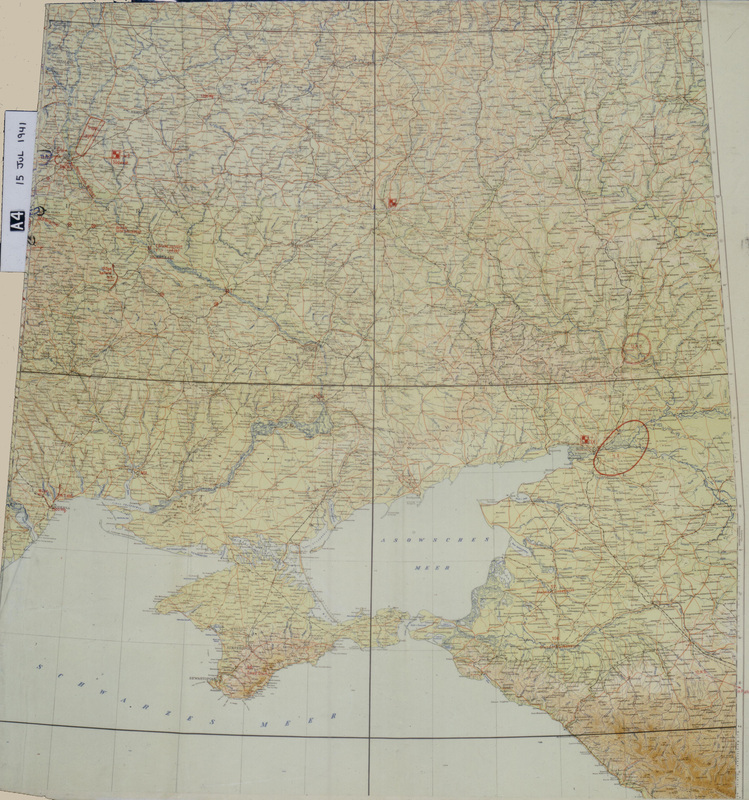 September 10, 1942 (view 3). October 28, 1942 (view 1). 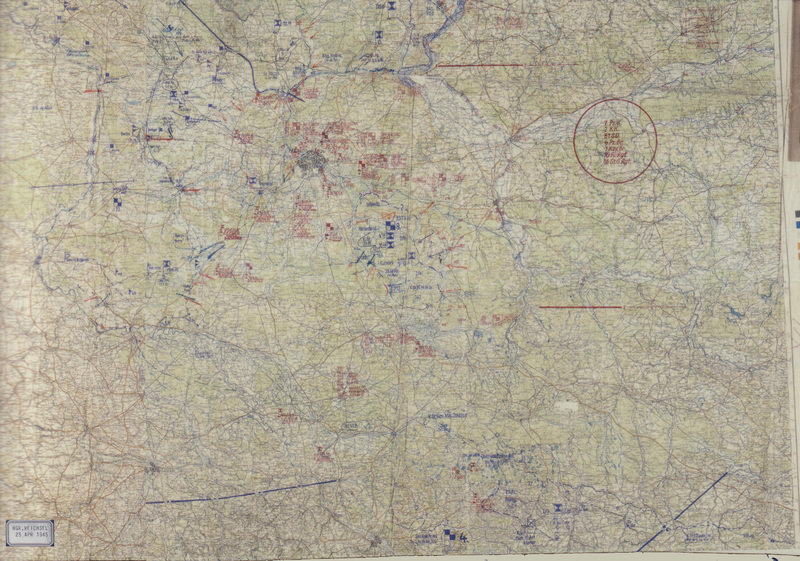 Detail, note "250" in trace of front lines just above and right of "LIV" Corps. October 28, 1942 (view 2). February 12, 1943 (view 1). Detail, Leningrad Front. February 12, 1943 (view 2). 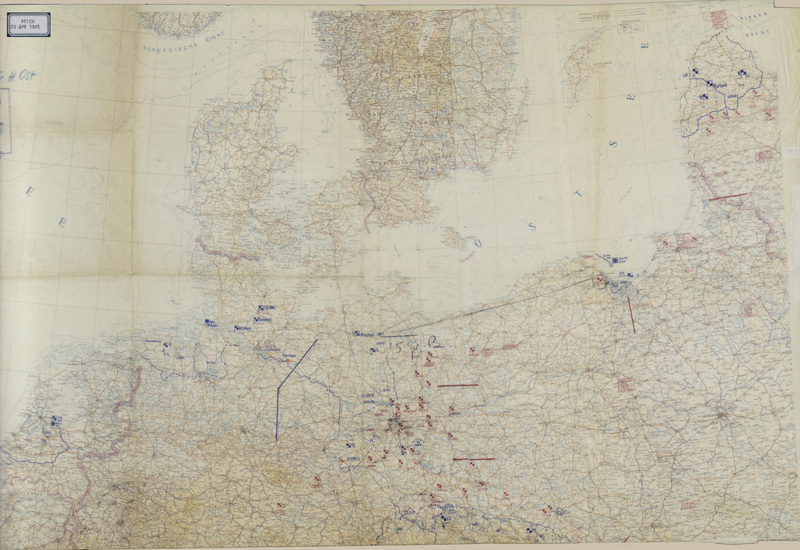 March 6, 1943 (view 1). March 6, 1943 (view 2). 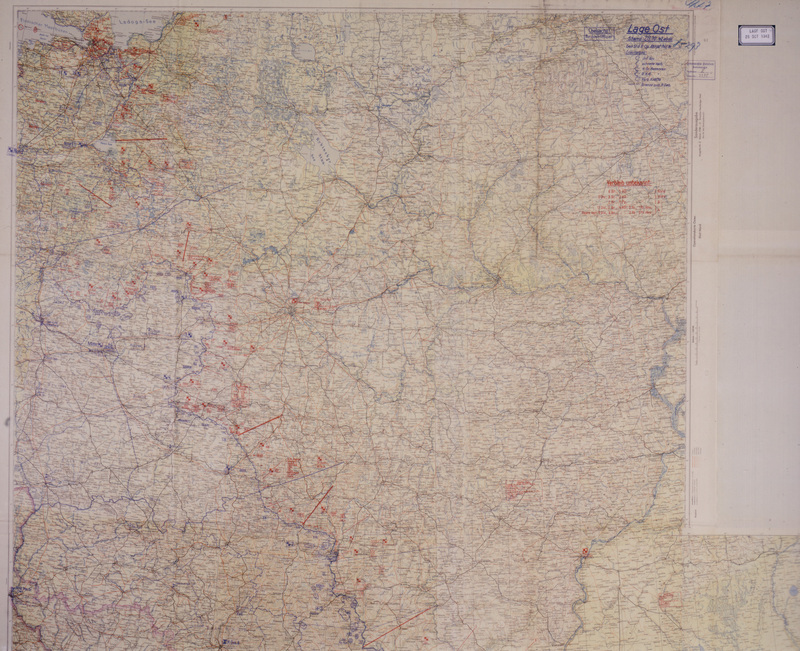 March 6, 1943 (view 3). Detail, Leningrad Front lines. 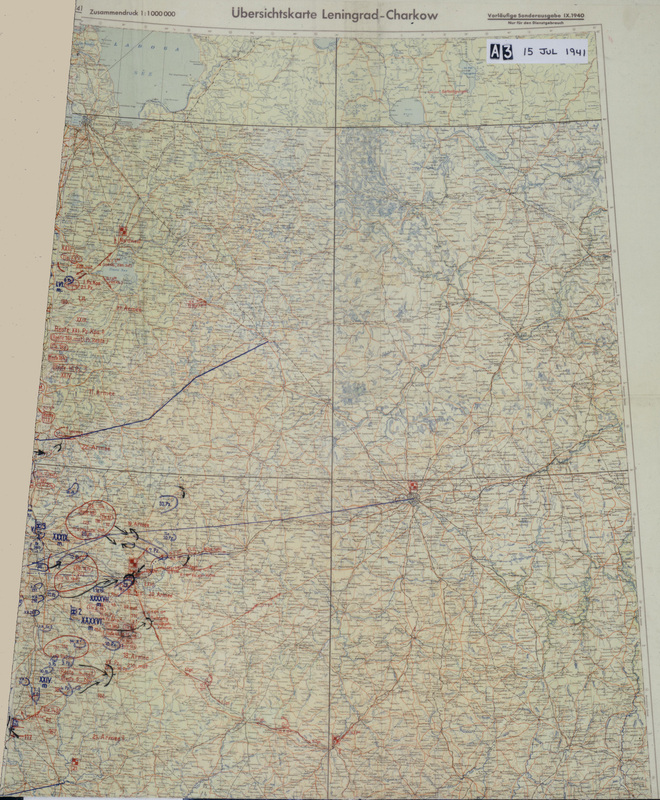 March 6, 1943 (view 4). 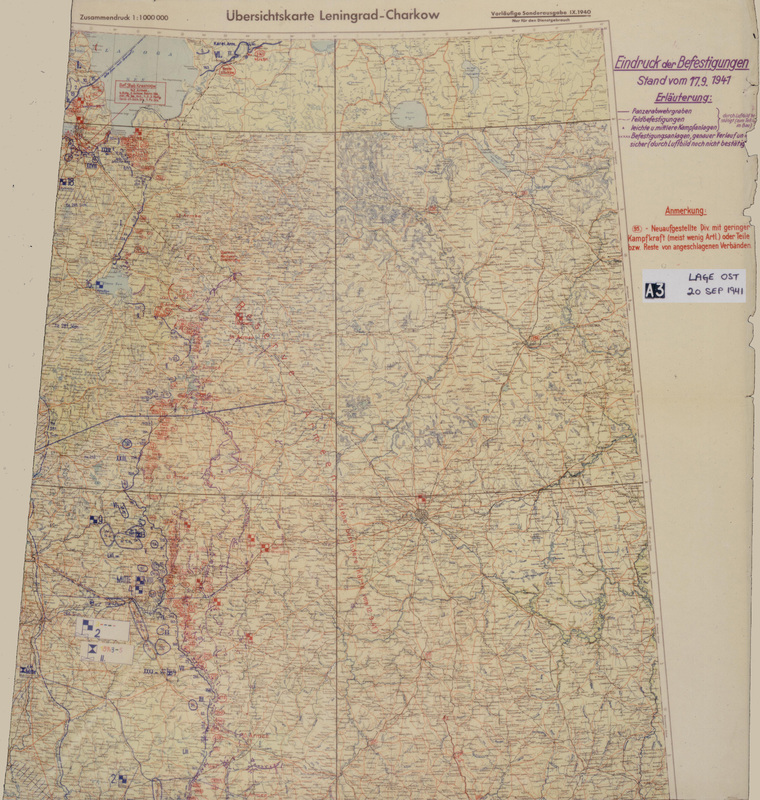 March 6, 1943 (view 5). 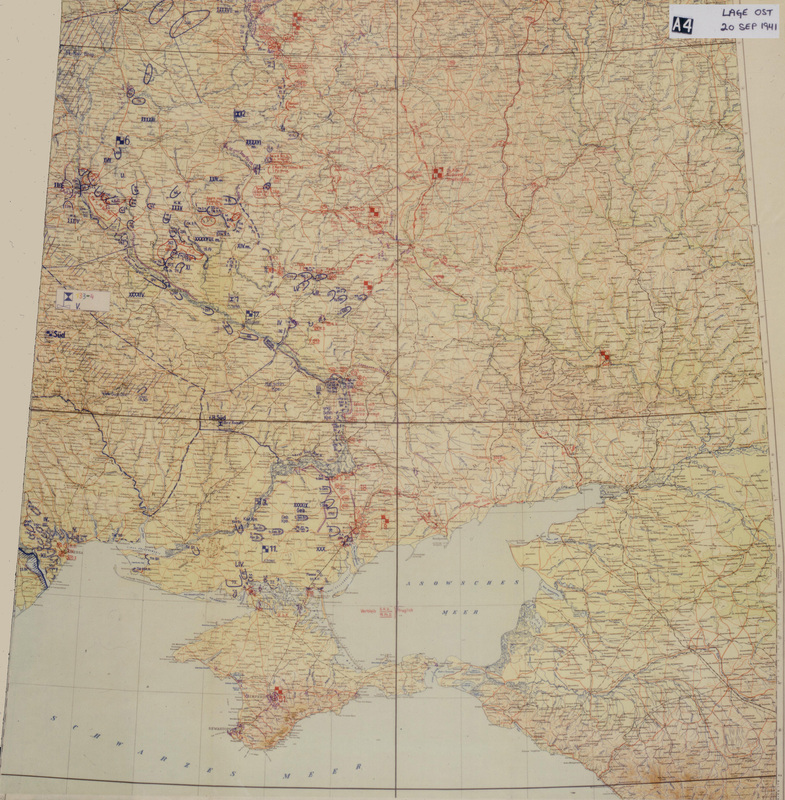 June 19, 1943 (view 1). June 19, 1943 (view 2). 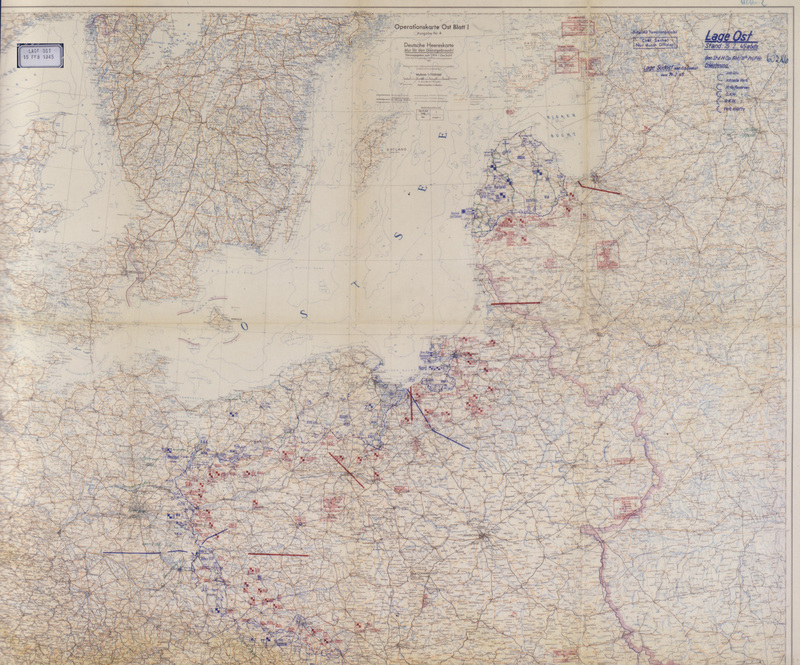 November 12, 1943 (view 1). 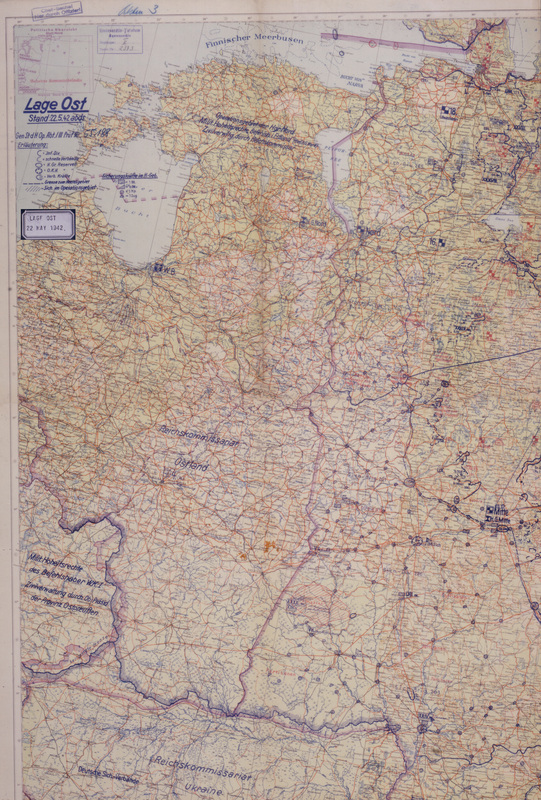 Detail, Leningrad zone, "ma(ss)250 span" is above "18" Army headquarters. 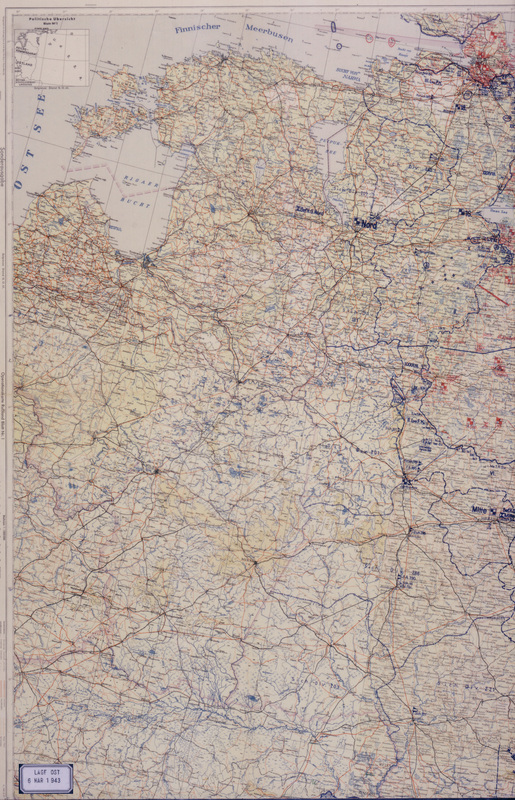 Detail, Estonia-Leningrad zone. 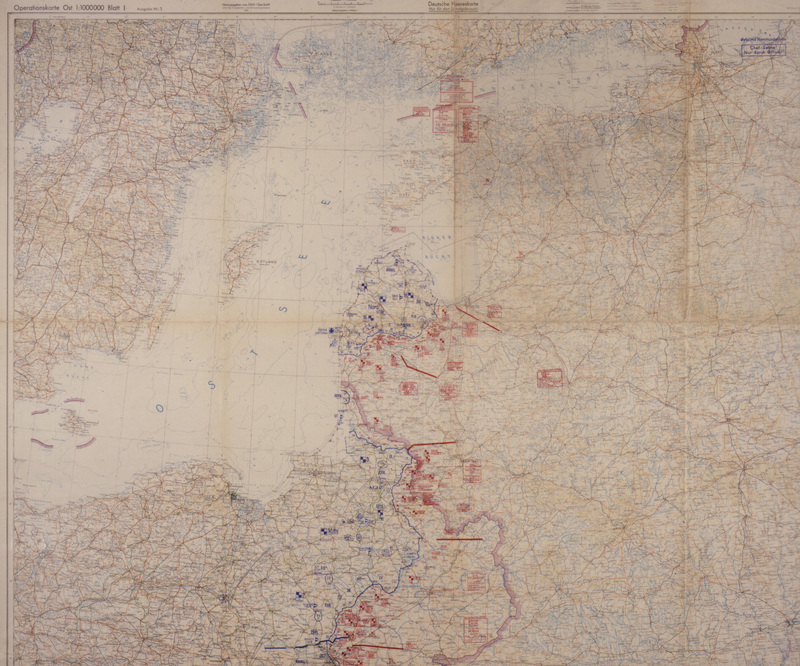 November 12, 1943 (view 2). 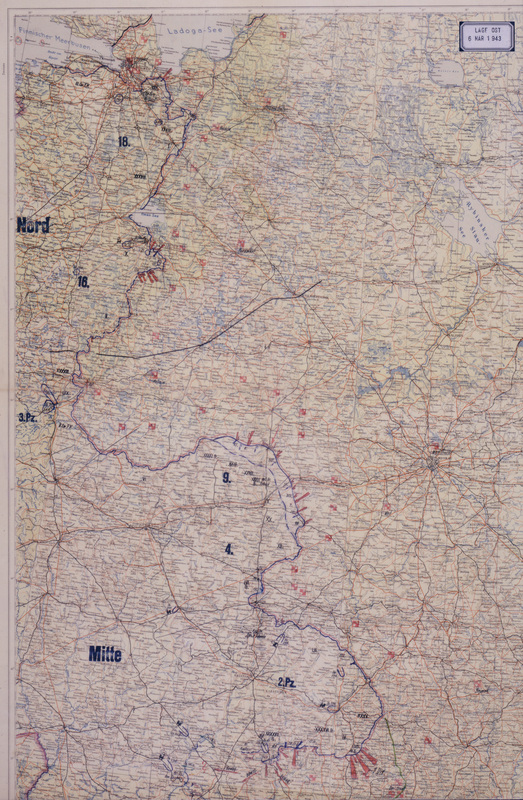 Detail, note "SS 'W'" in lines east of "Süd" and "III" Corps. 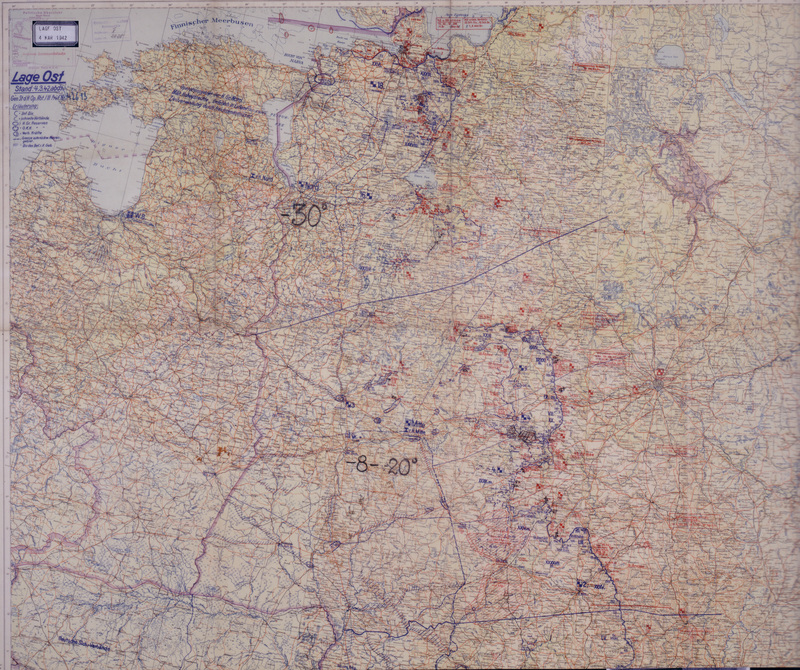 January 30, 1944 (view 1). 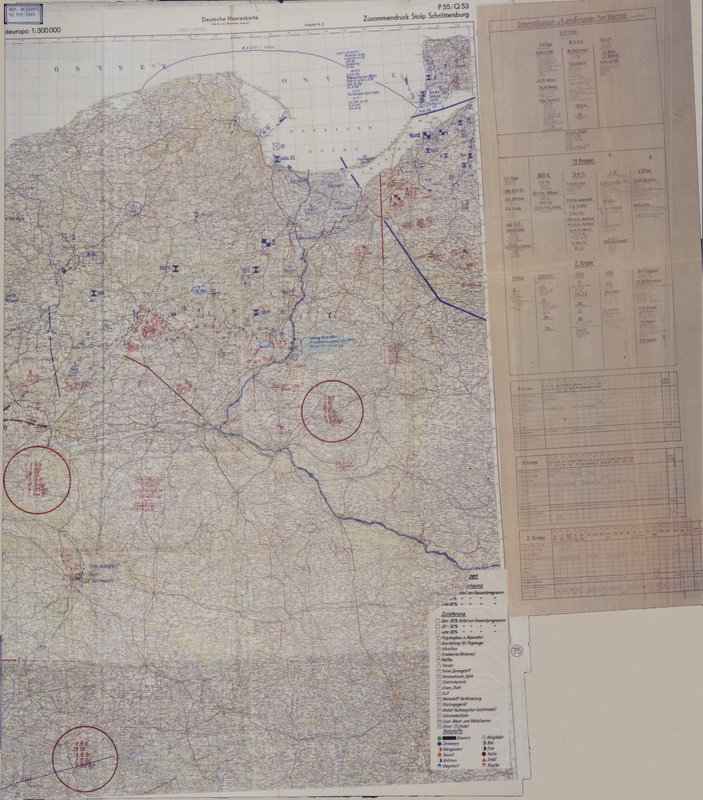 Detail, observe chaotic grouping including "III SS" Corps. Detail, note "Span. Leg." 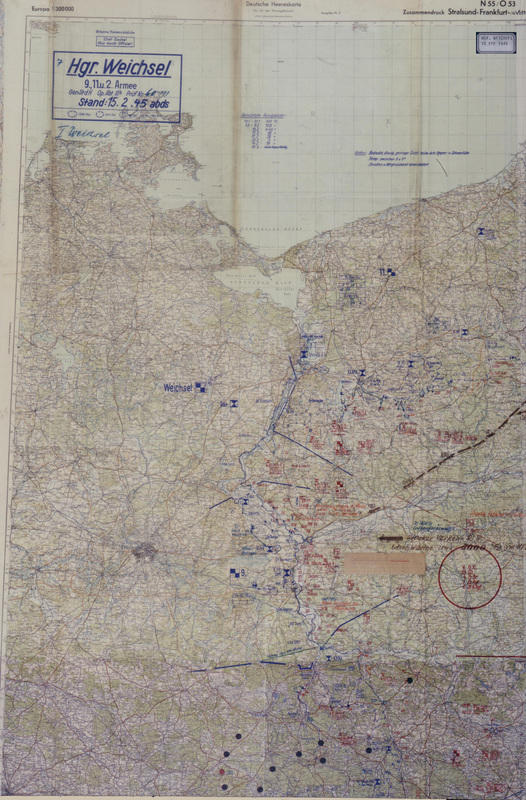 Near Luga, 18th Army headquarters and XXVI Corps, no longer in action. 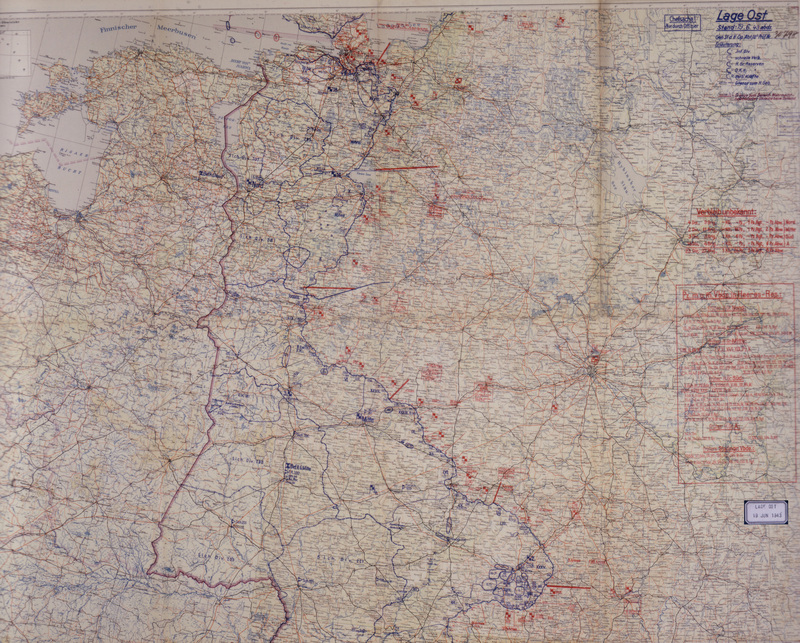 January 30, 1944 (view 2). Detail, NE of Army Group "Süd" headquarters: "K.Gr. SS 'R' + SS Br. 'Langemarck'" - Note by this time the front has come under XXXXVIII Panzer Corps. 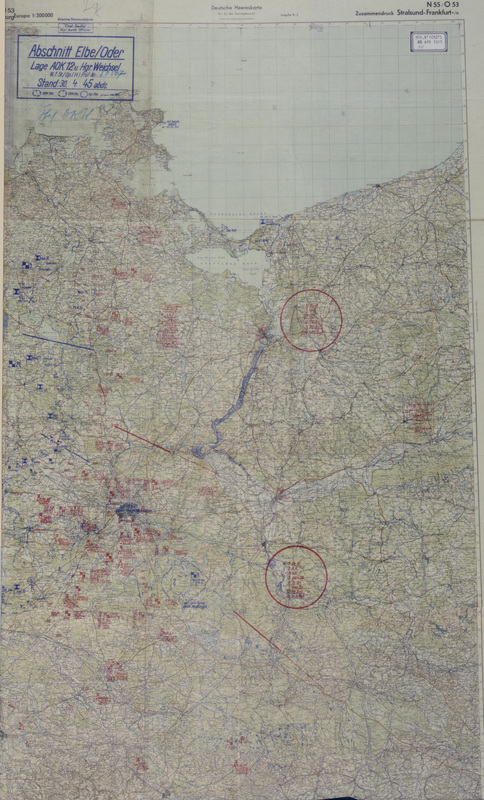 Detail, the pocket has formed ("XXXXII" Corps), and the Walloon Brigade has already moved toward the breakout zone. 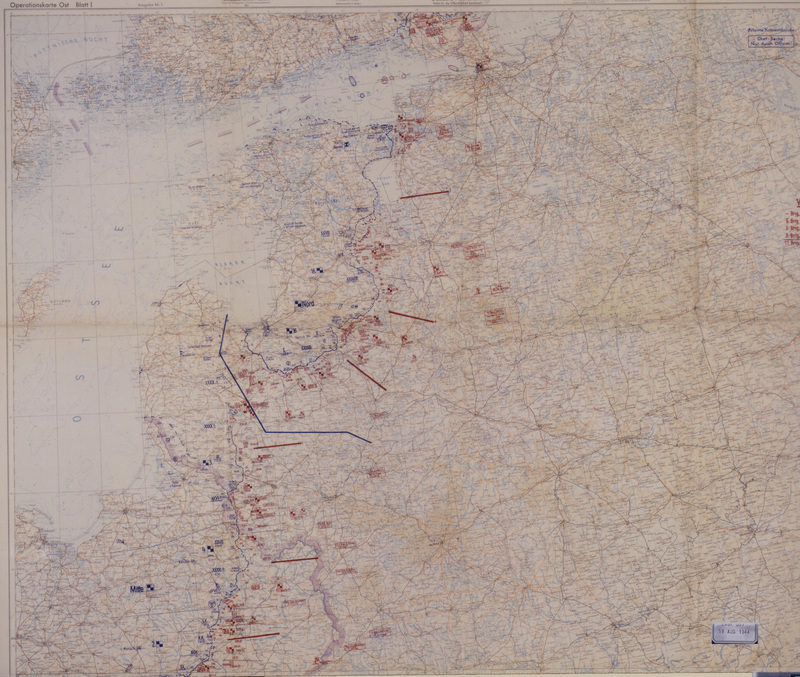 February 29, 1944 (view 1). Detail, III SS Corps units are crowded into salient of Narva city and west riverbank, the March attack is already developing on this date. 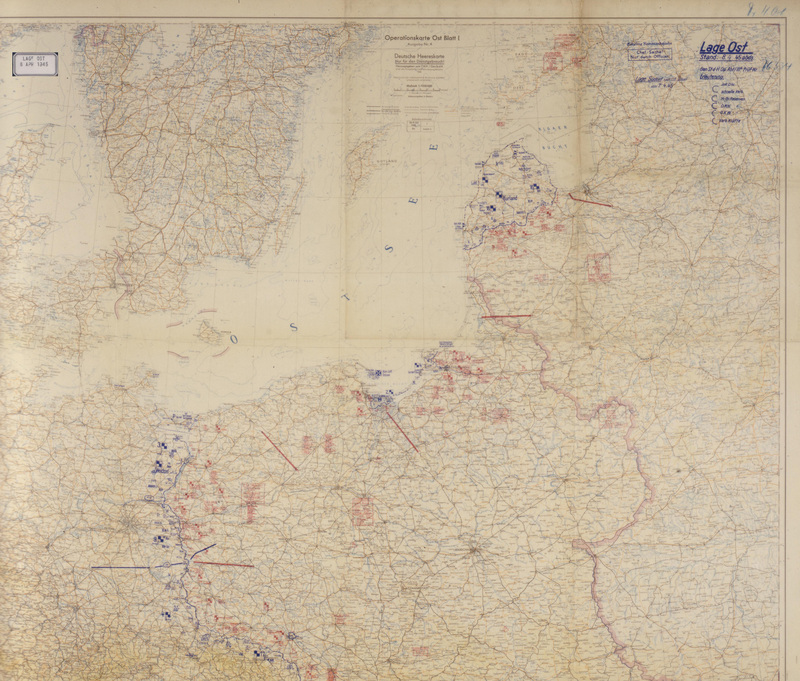 February 29, 1944 (view 2). Detail, North of Army Group "Süd" headquarters, note Russian breakthrough zone to NW. 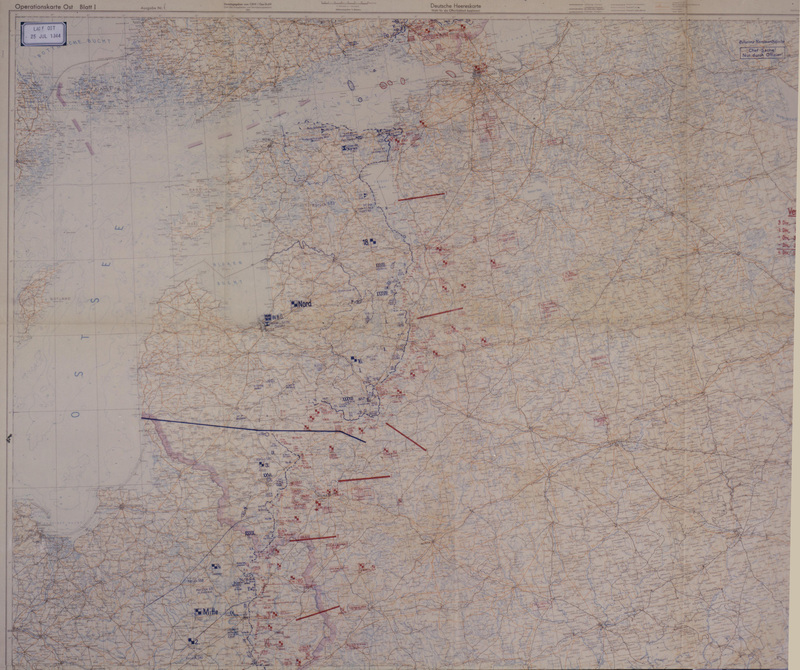 July 9, 1944 (view 1). Detail, Narva-Lk Pskov. 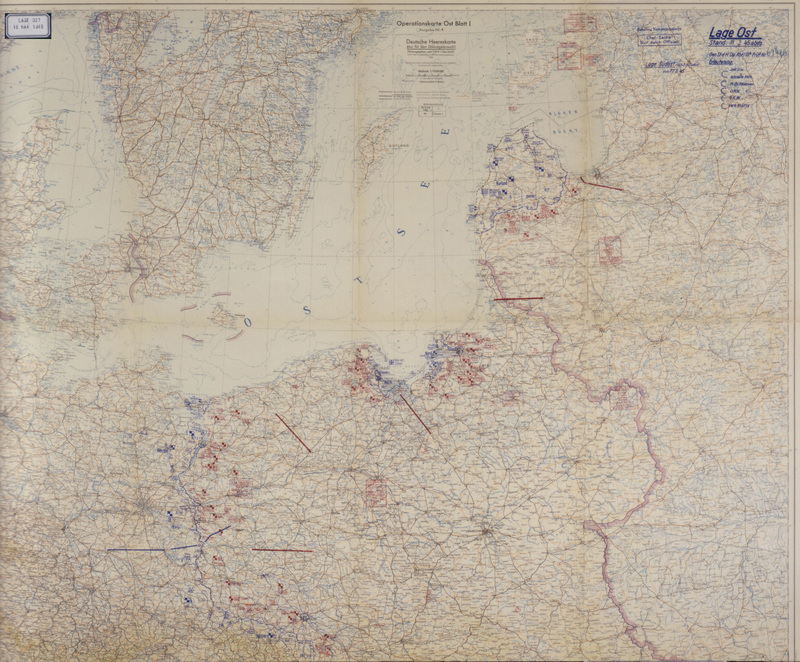 July 9, 1944 (view 2). 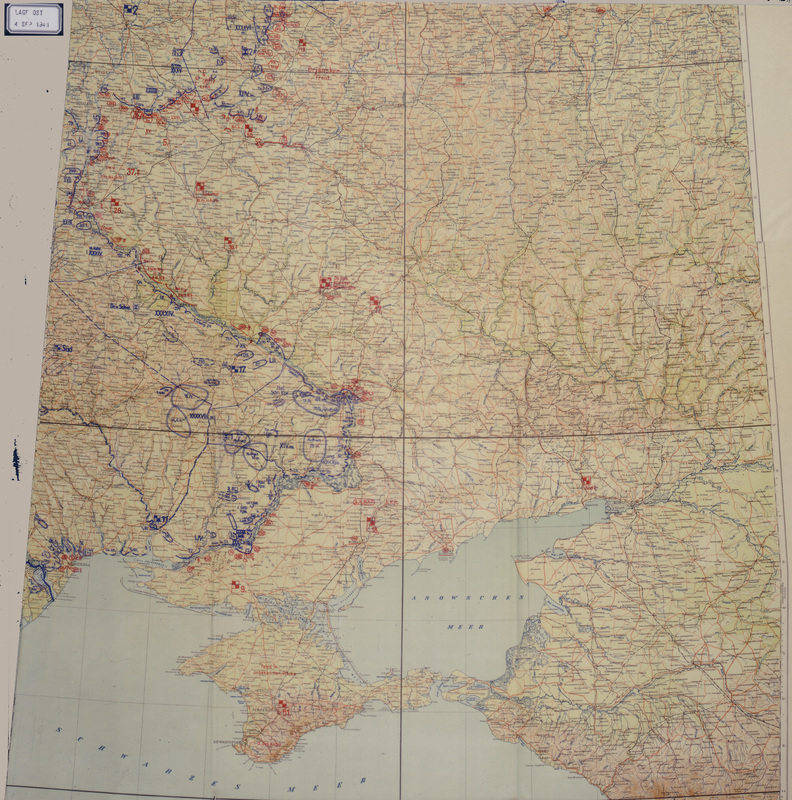 July 25, 1944 (view 1). 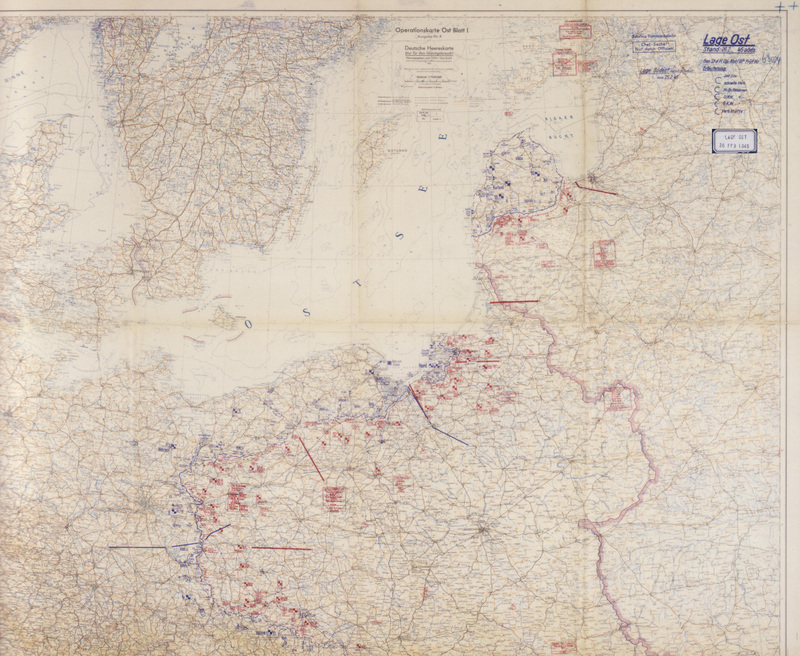 Detail, Narva-Riga, note the beginning of the disengagement from the Narva Riverlines, the small sectors now covered by Nordland and Nederland owing to their weakness. 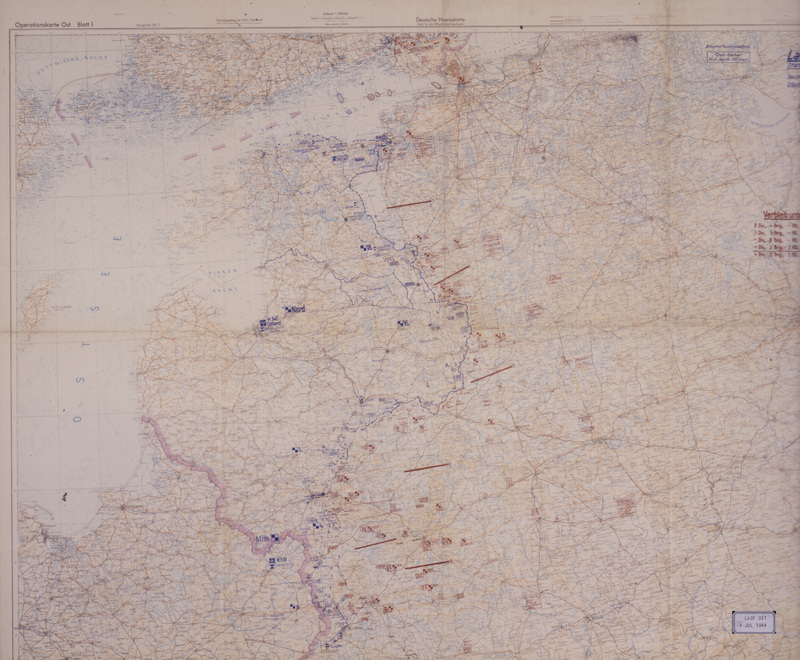 July 25, 1944 (view 2). 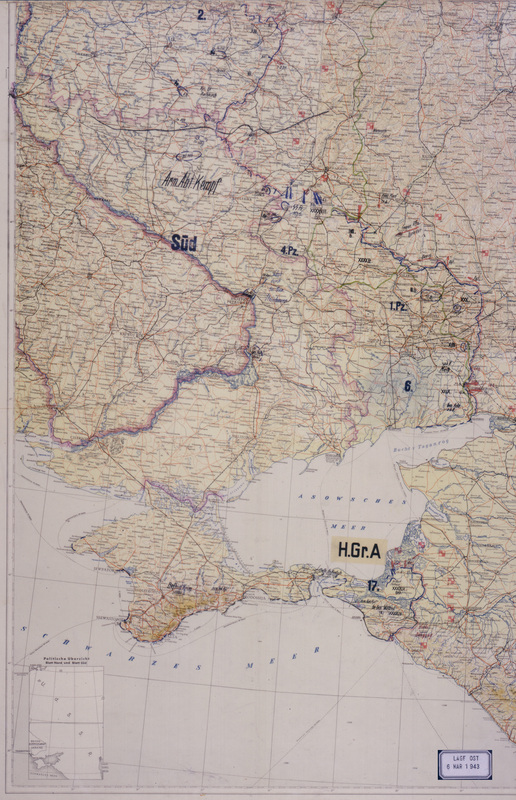 August 19, 1944 (view 1). 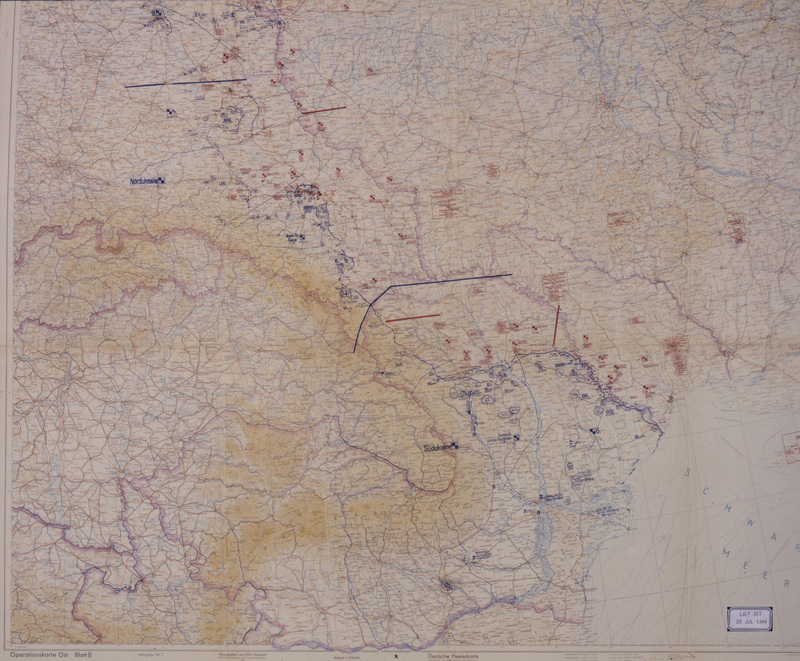 Detail, Narva-Riga, note the beginning of the disengagement from the Narva Riverlines, the small sectors now covered by Nordland and Nederland owing to their weakness. Detail, note "Langemark" in assembly area. Detail, "Gr.BrigFr. Wagner" is falling back under Russian pressure on Dorpat. 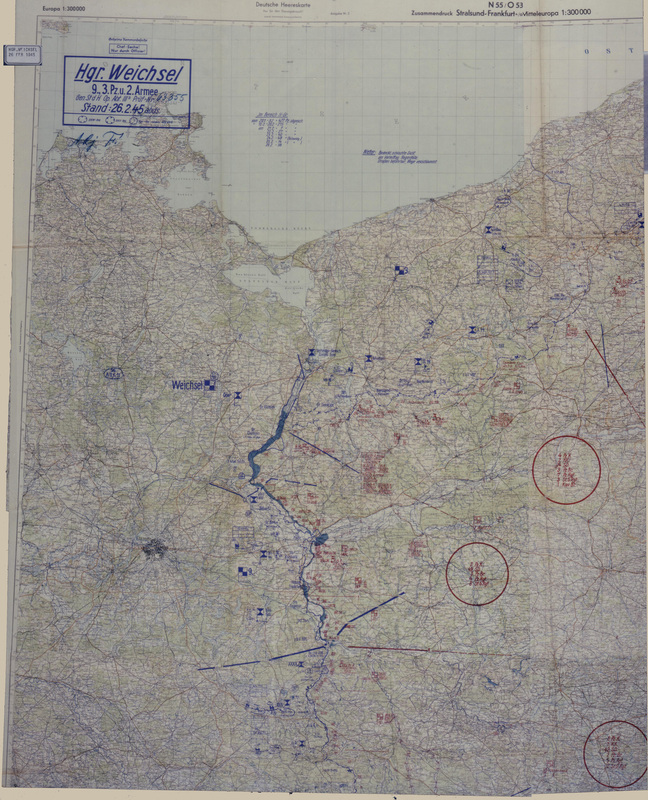 August 19, 1944 (view 2). Detail, note "K.Gr. 18 SS Pz Gr" east of 17 Army and LIX Corps headquarters. 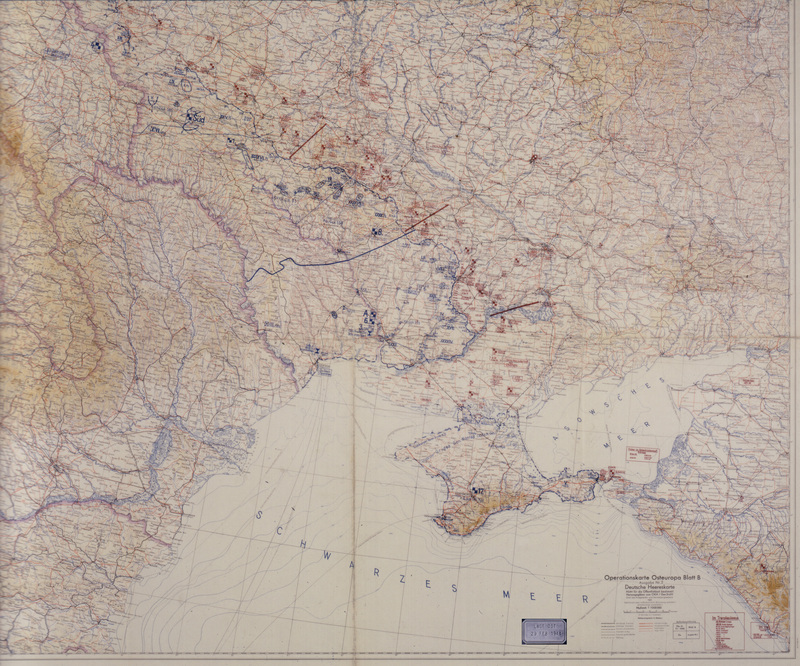 January 10, 1945 (view 1). 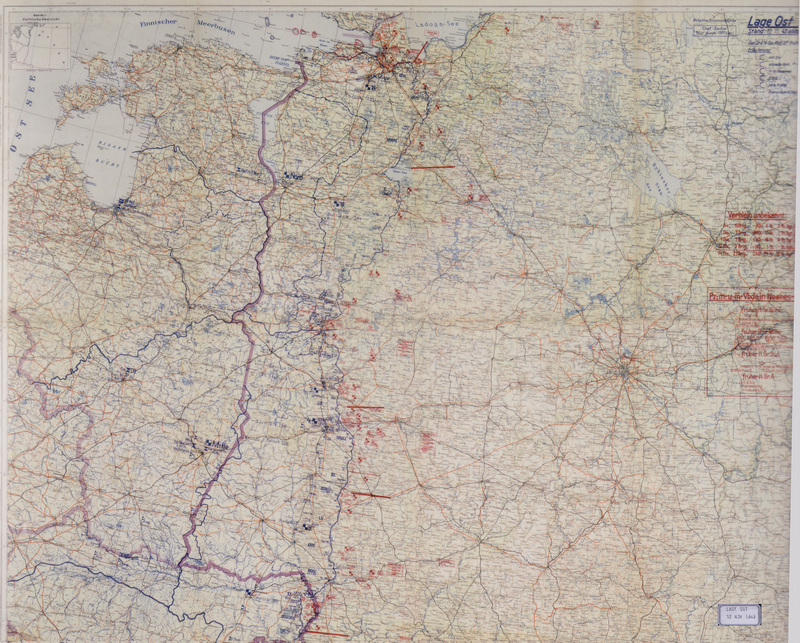 January 10, 1945 (view 2). January 24, 1945. 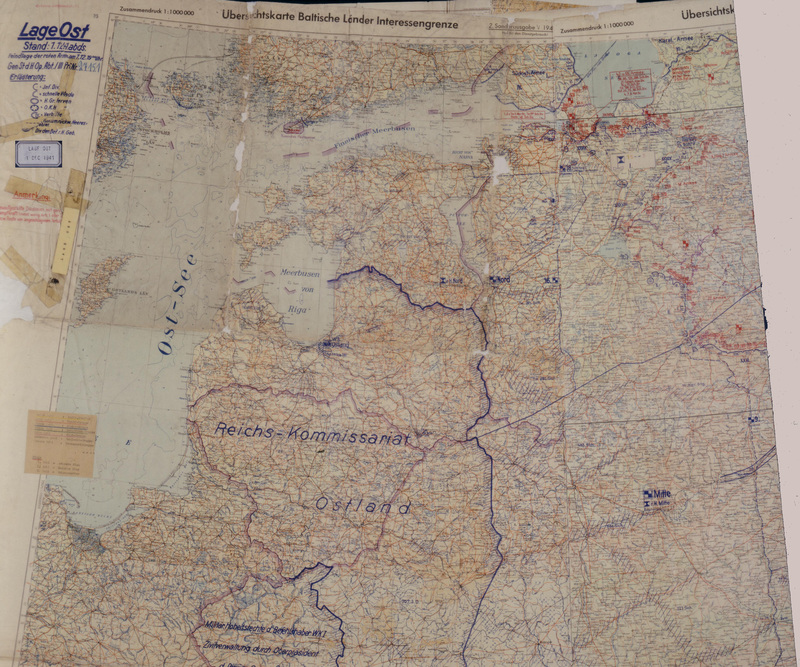 Detail, Red Army massing on Nederland and Nordland. 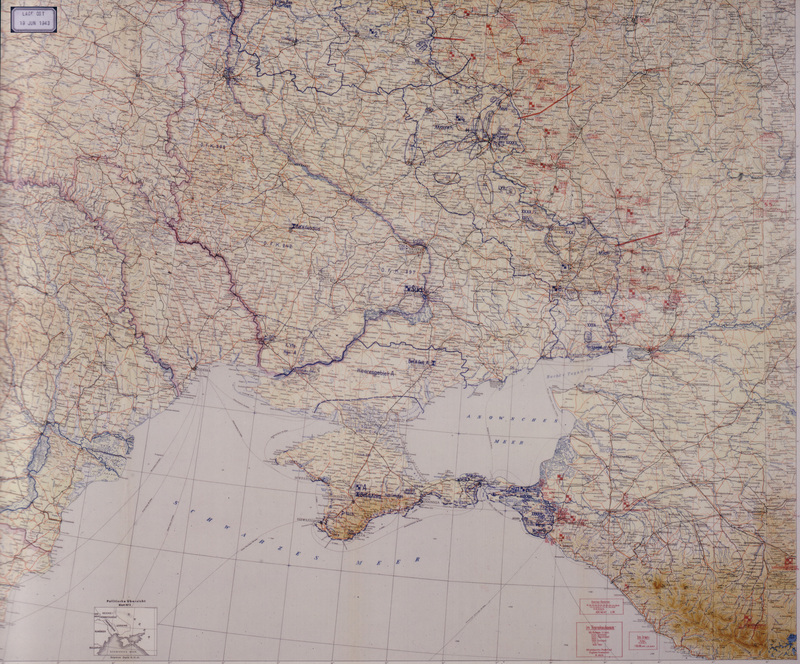 February 15, 1945 (view 1). 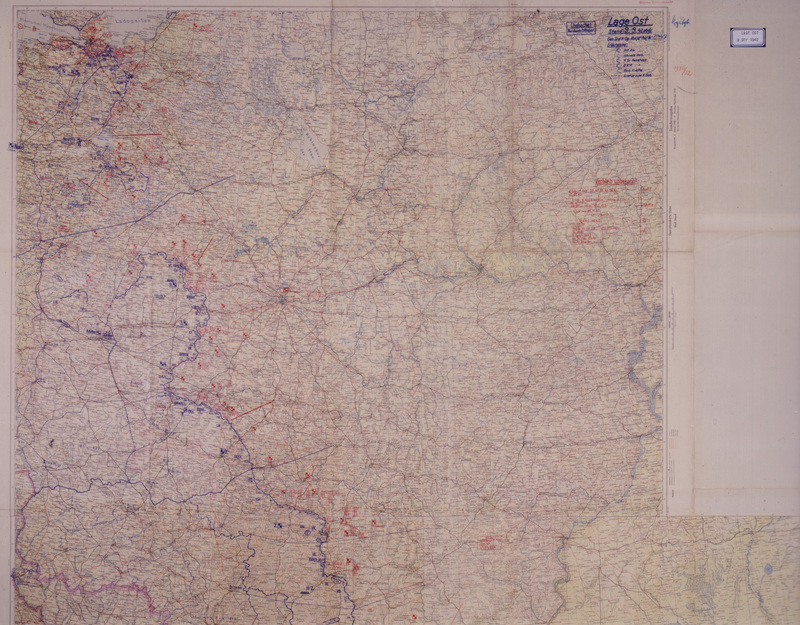 February 15, 1945 (view 2). 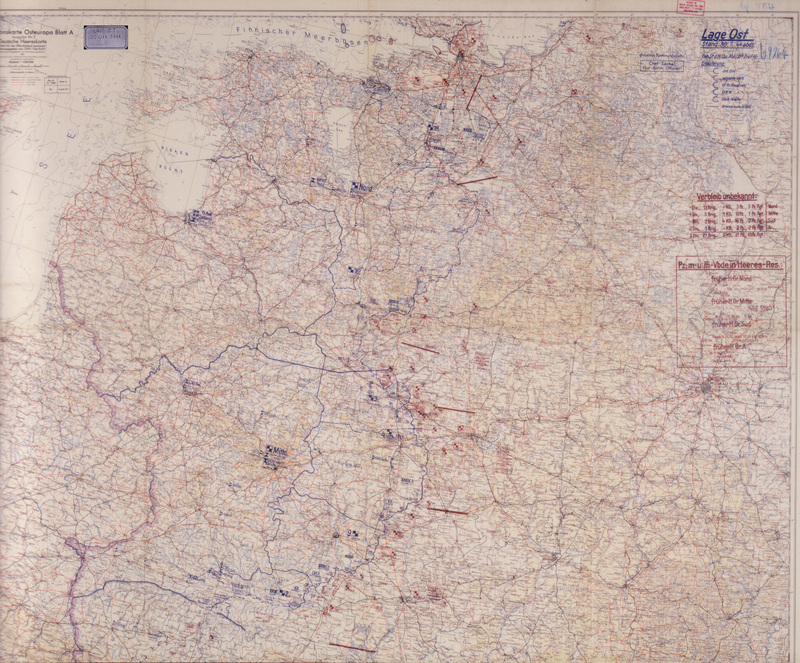 February 15, 1945 (view 3). Detail, Stargard offensive. 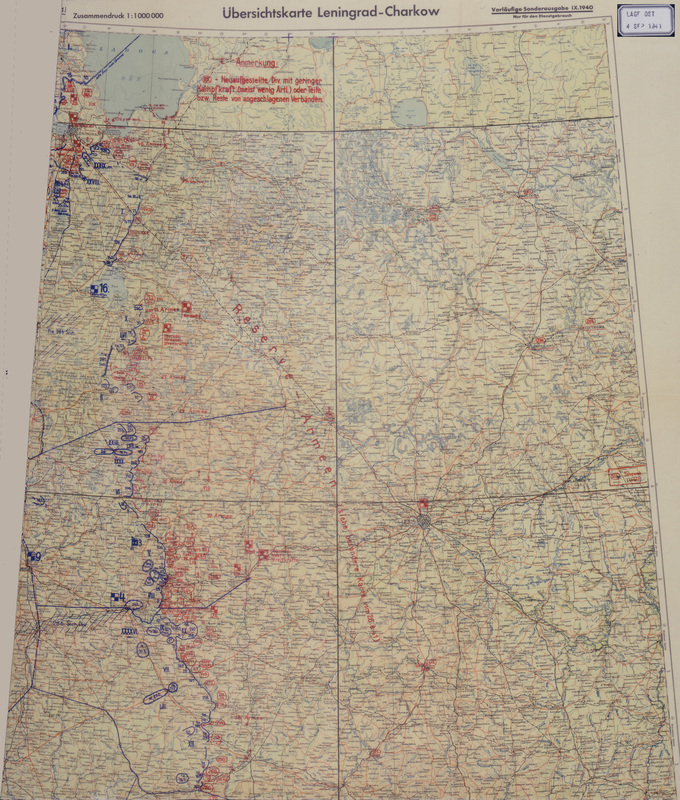 February 15, 1945 (view 4). 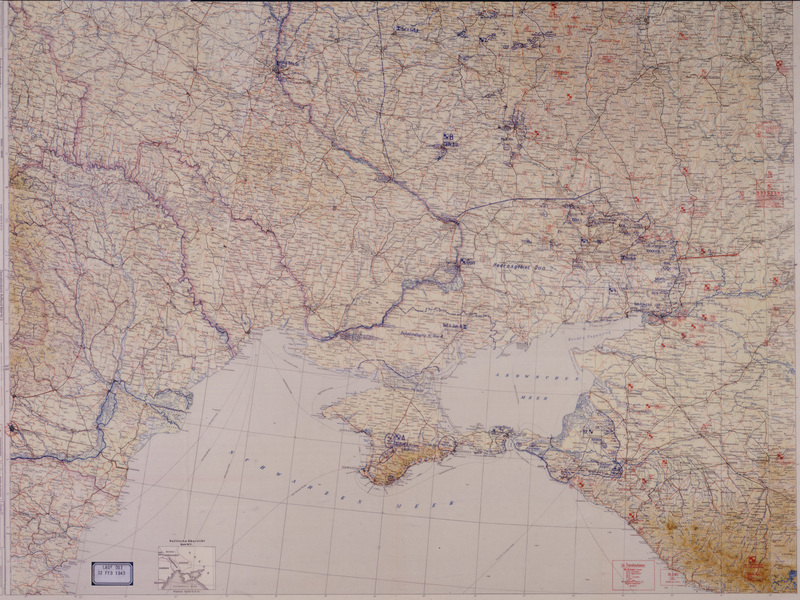 February 26, 1945 (view 1). February 26, 1945 (view 2). 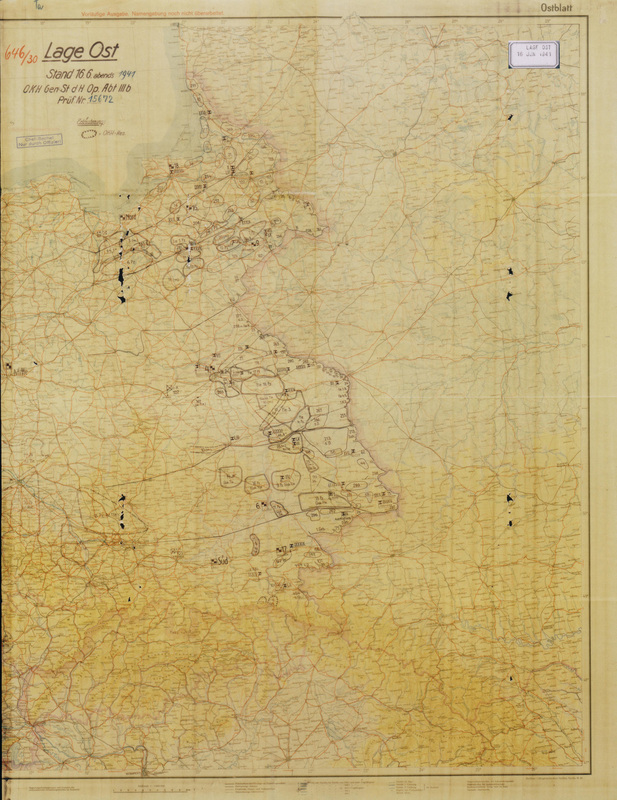 February 26, 1945 (view 3). Detail, Stargard offensive. Detail, note "Rste. SS FW BR Charlemagne" moving near Baltic coast, east of Kolberg. 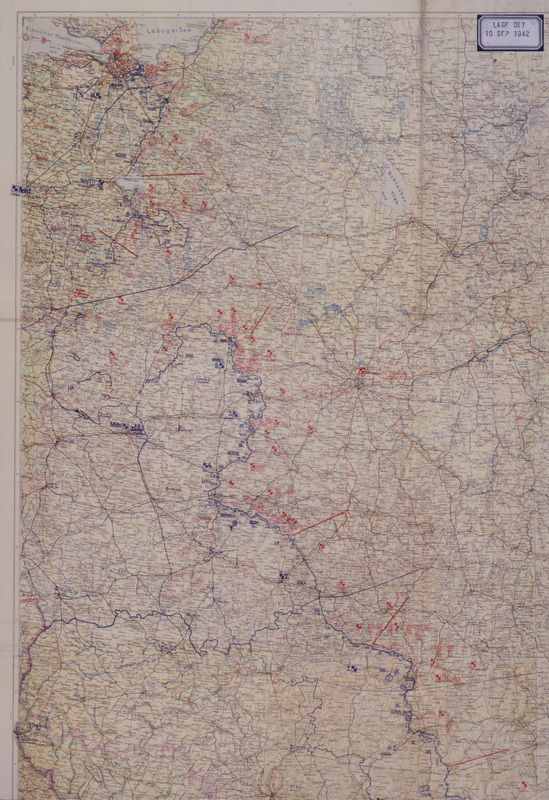 February 26, 1945 (view 4). 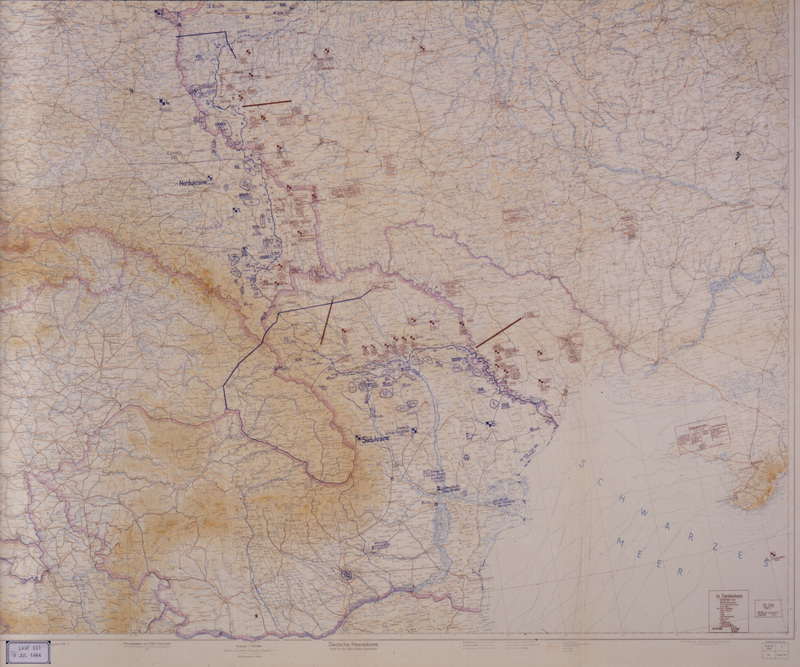 March 18, 1945 (view 1). 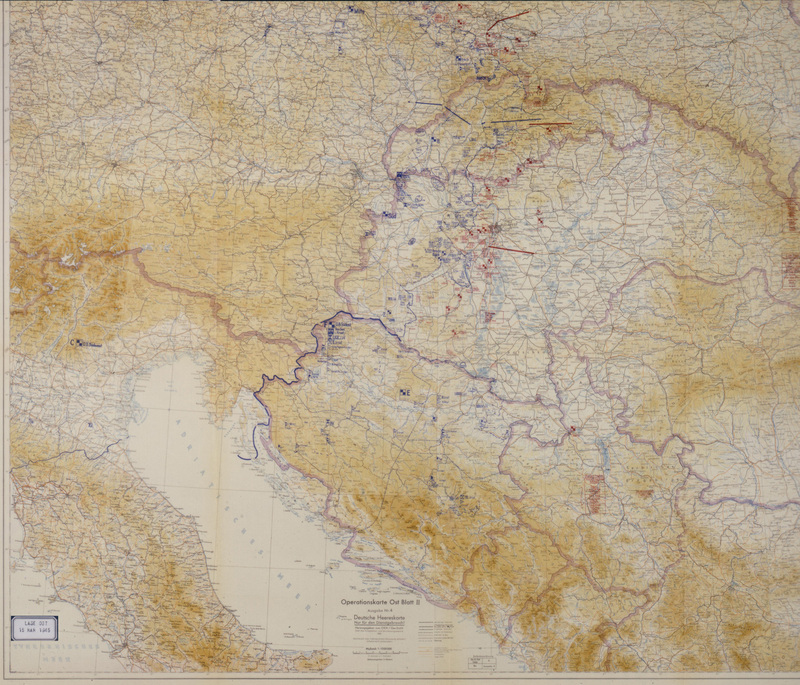 March 18, 1945 (view 2). 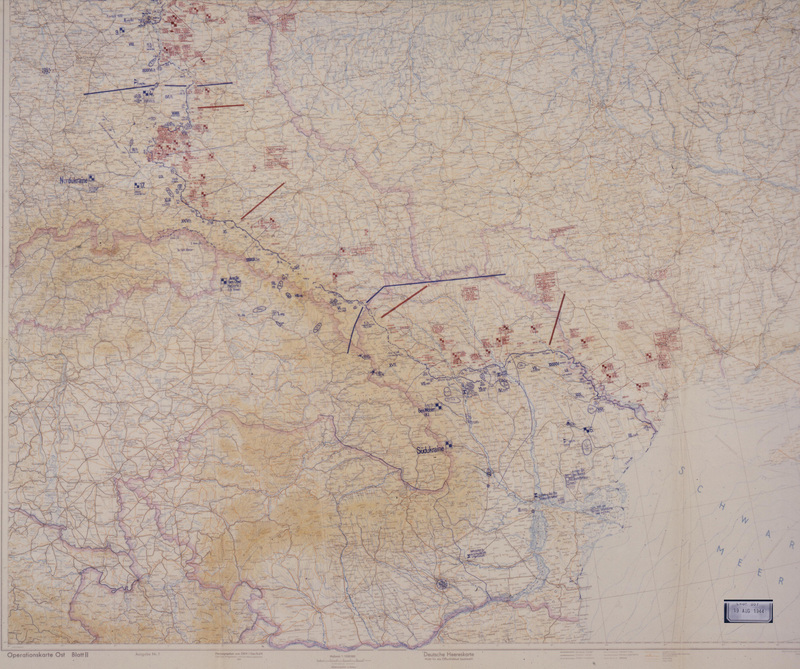 April 18, 1945 (view 1). 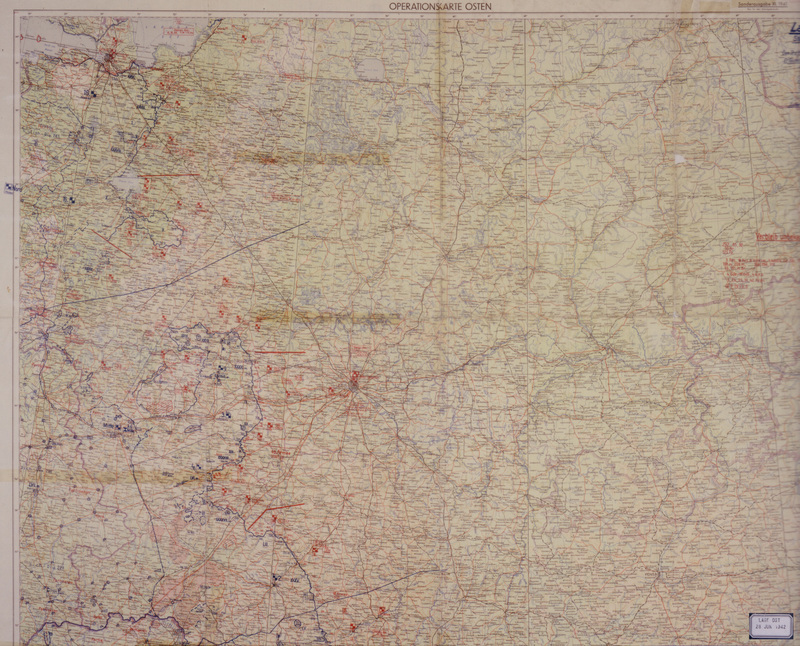 April 18, 1945 (view 2). April 19, 1945. Detail, "Gr. Staf. 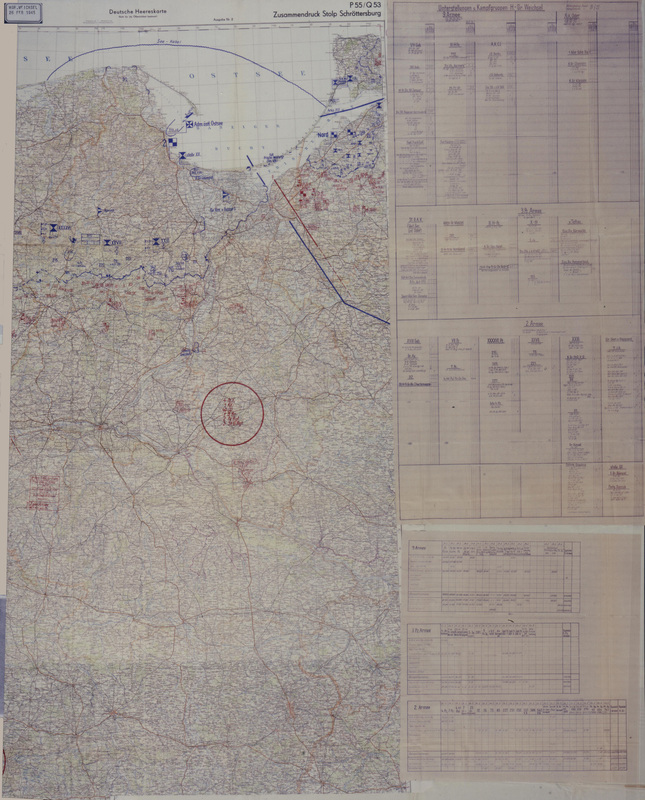 Müller" contains the Walloon and Flemish battalions under the overall command of the Langemarck commander. 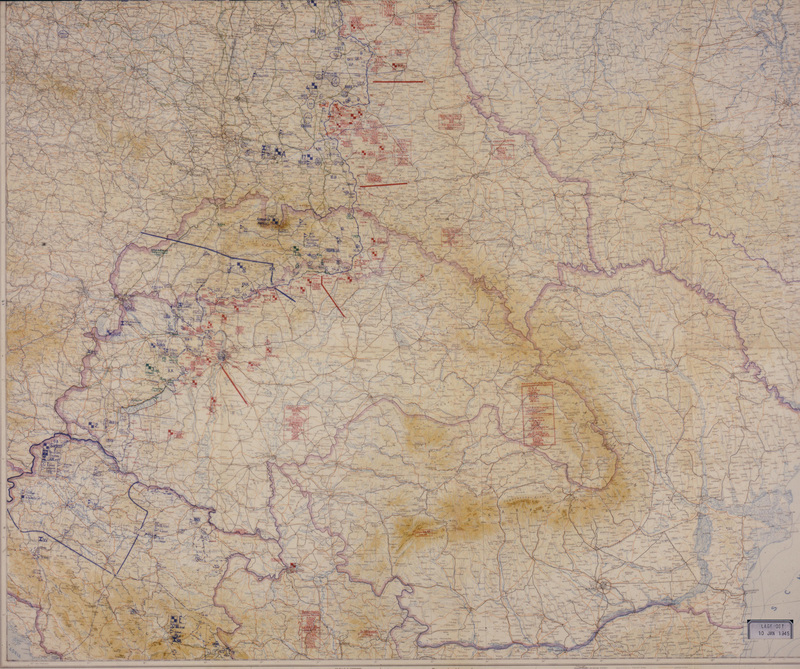 April 25, 1945 (view 1). 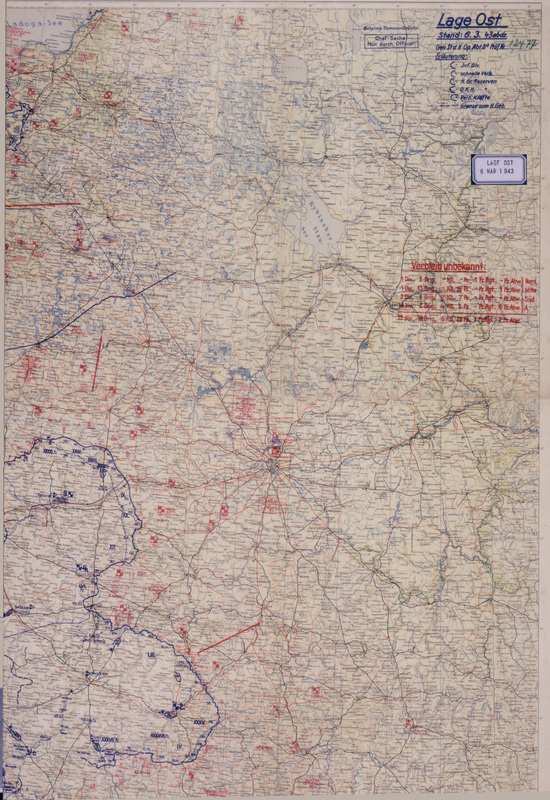 April 25, 1945 (view 2). Detail, note "? 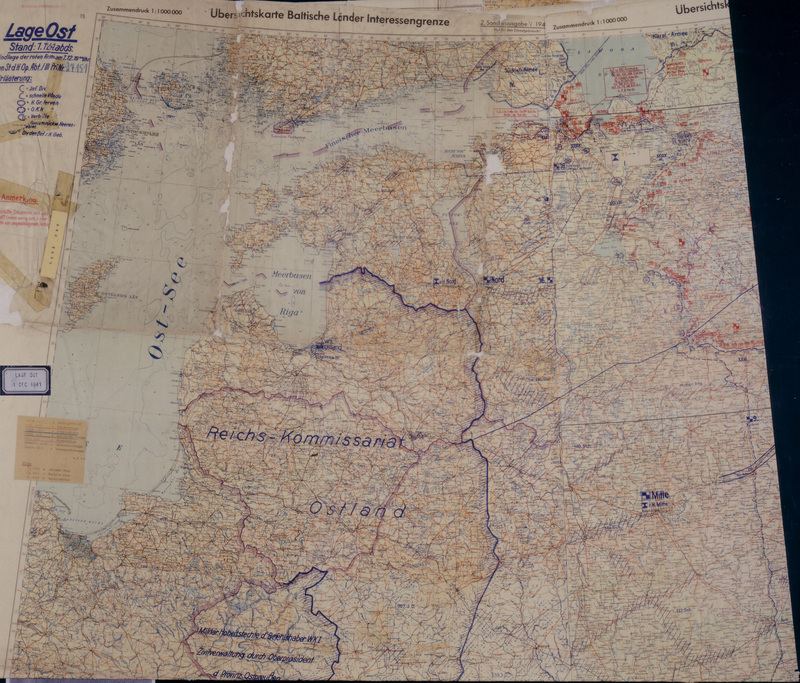 Nederland" southeast of Berlin in Halbe Pocket. April 29, 1945. 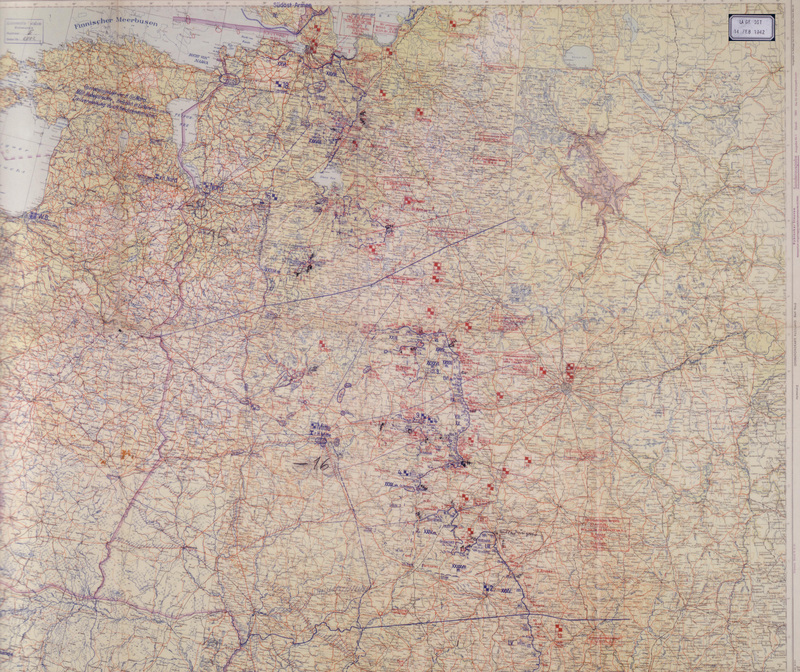 Detail, showing feeble state of German forces left in the east. 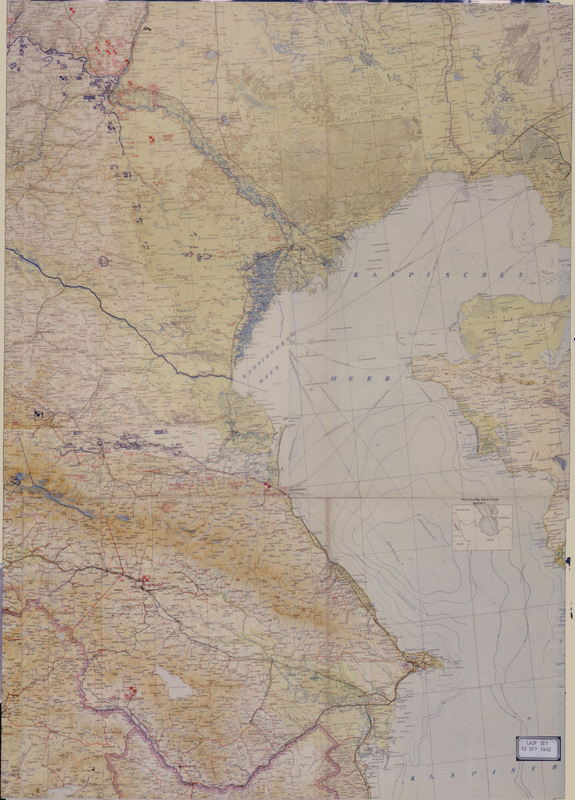 April 30, 1945 (view 1). 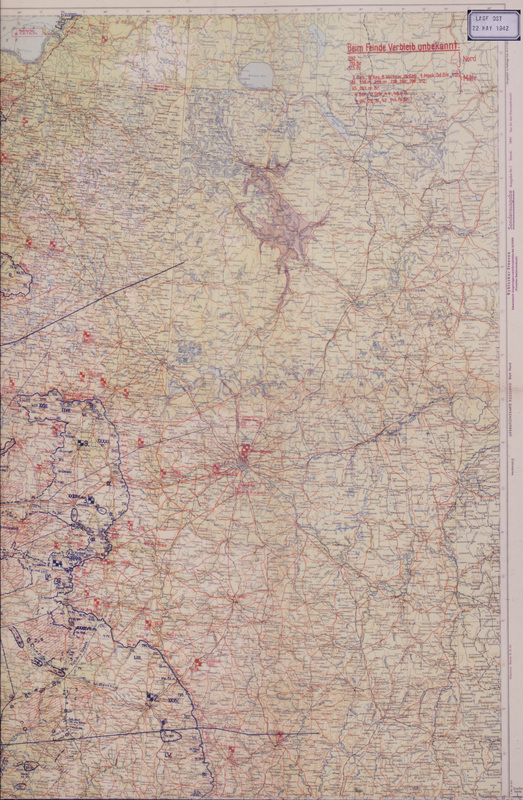 April 30, 1945 (view 2).